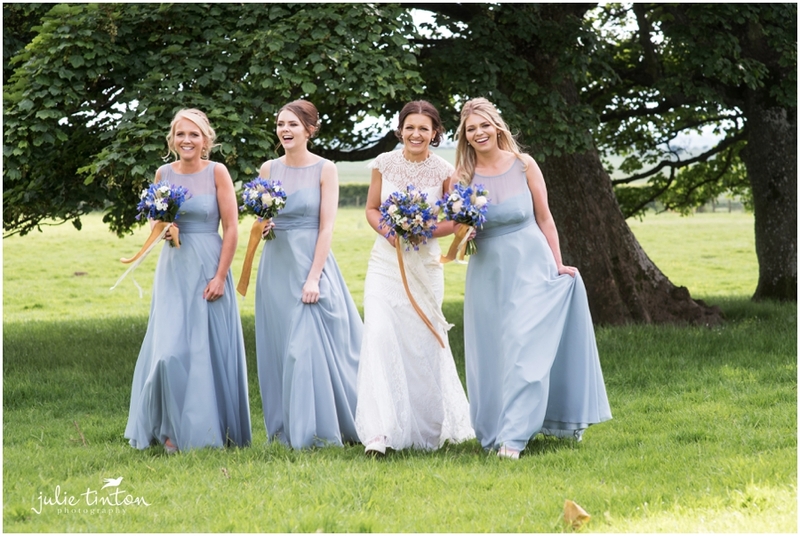 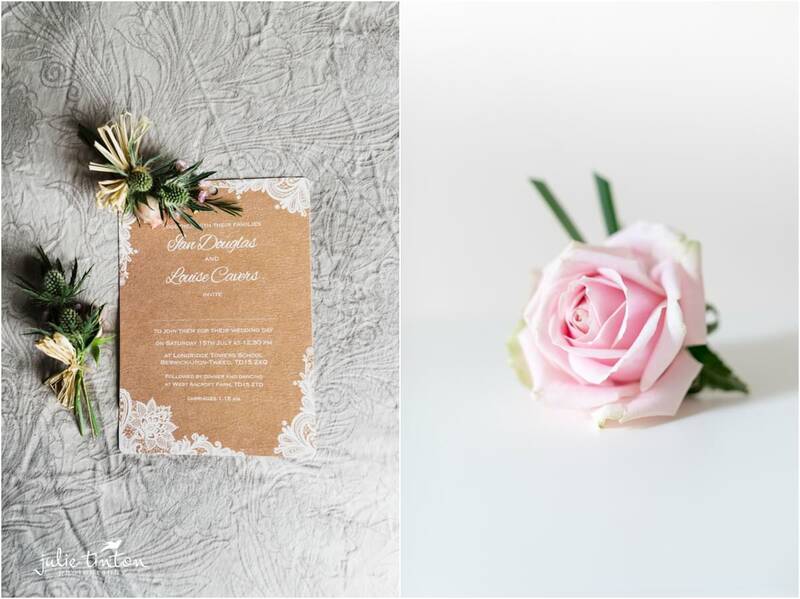 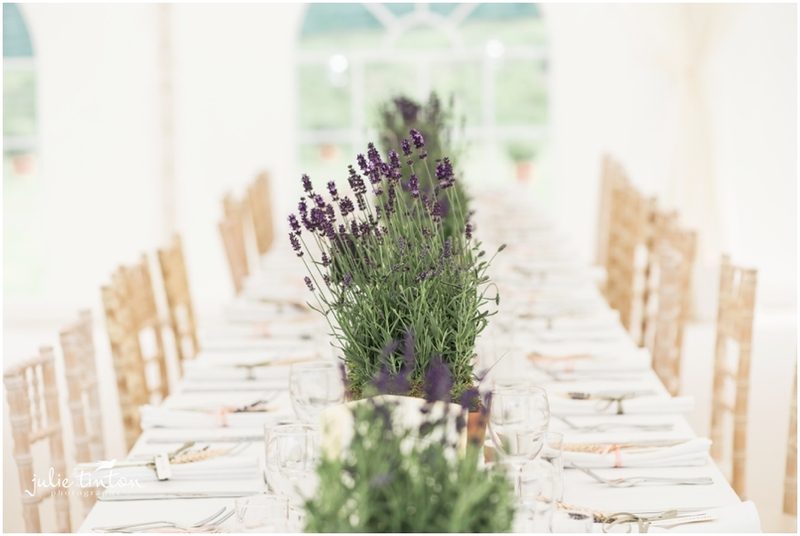 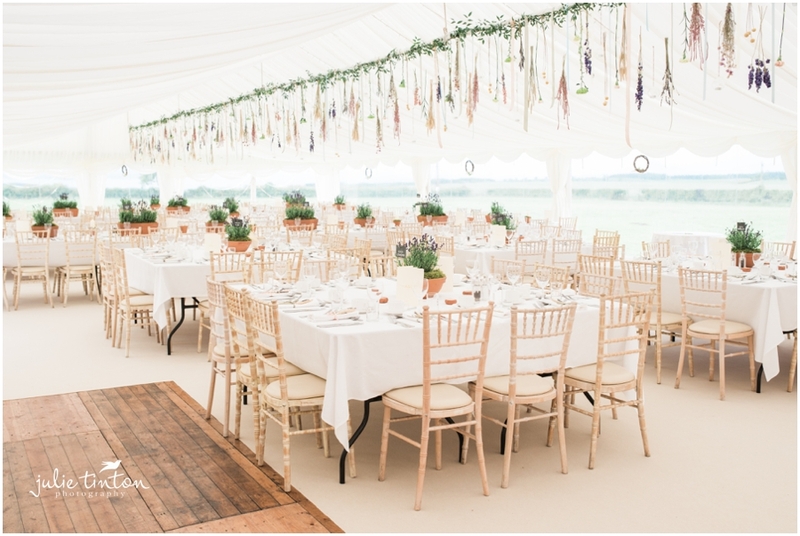 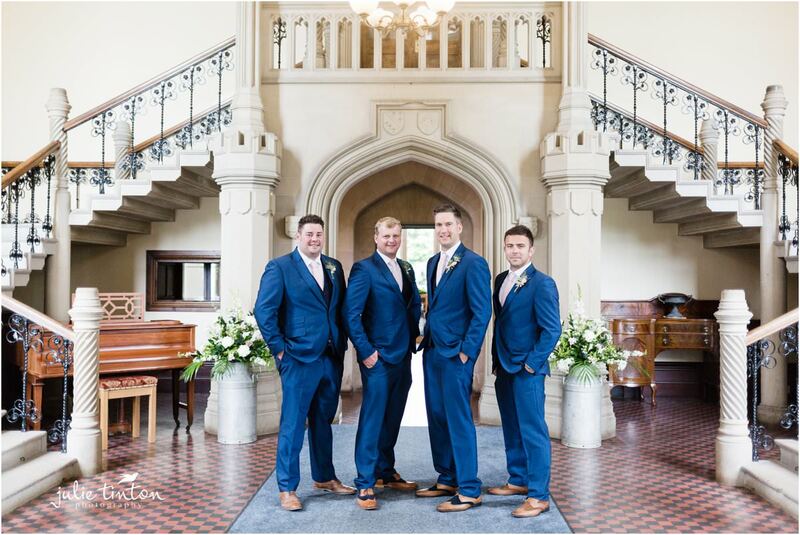 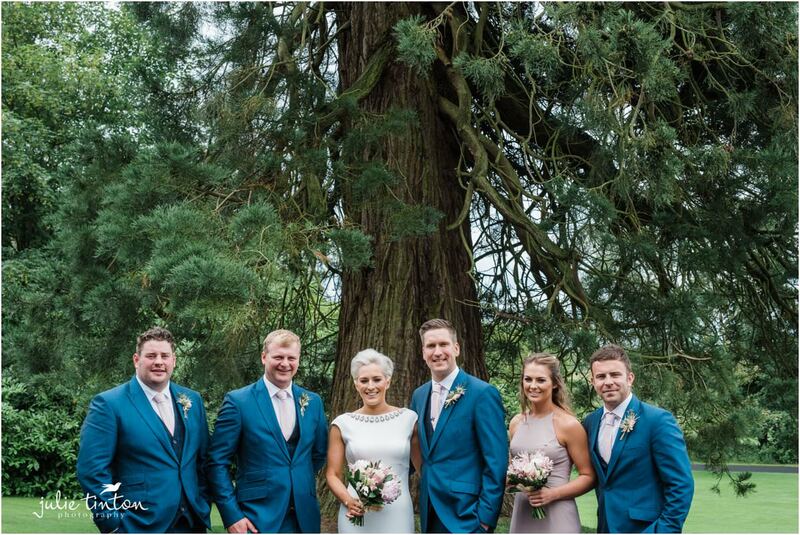 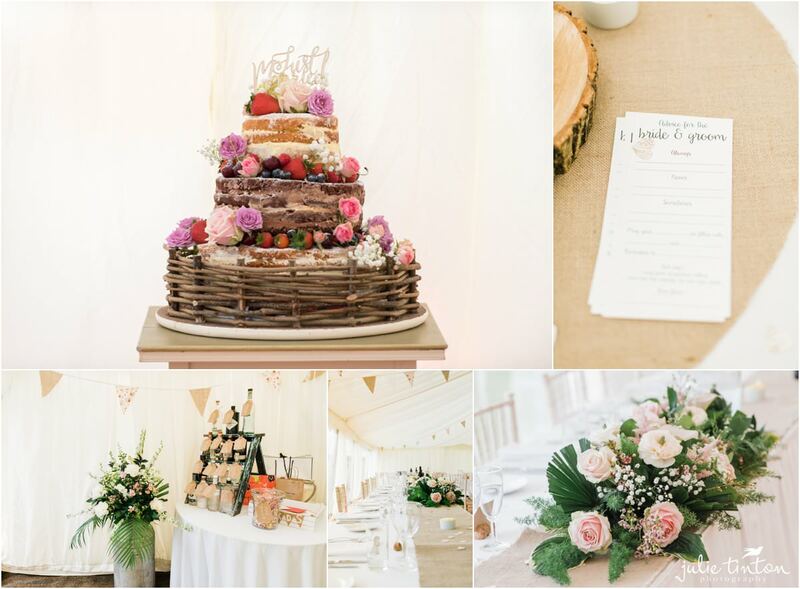 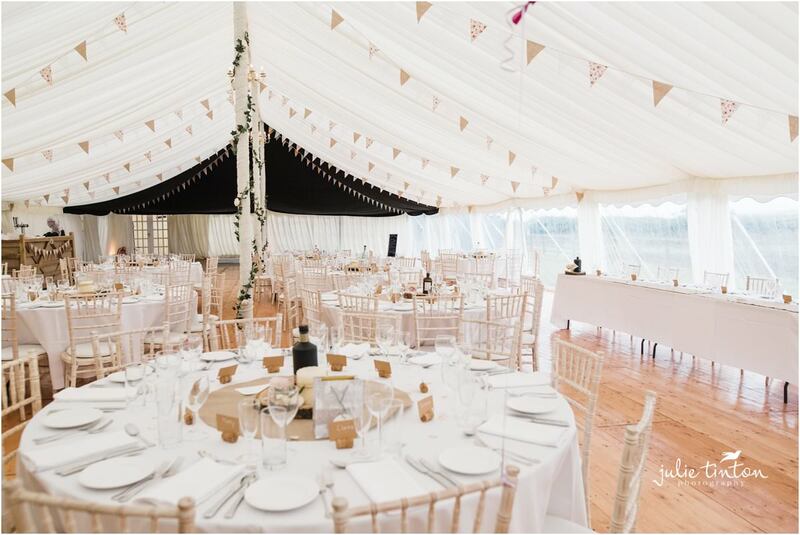 Nothing more beautiful than a Farm wedding at home, and Louise and Ian’s relaxed and stylish marquee wedding did not disappoint. 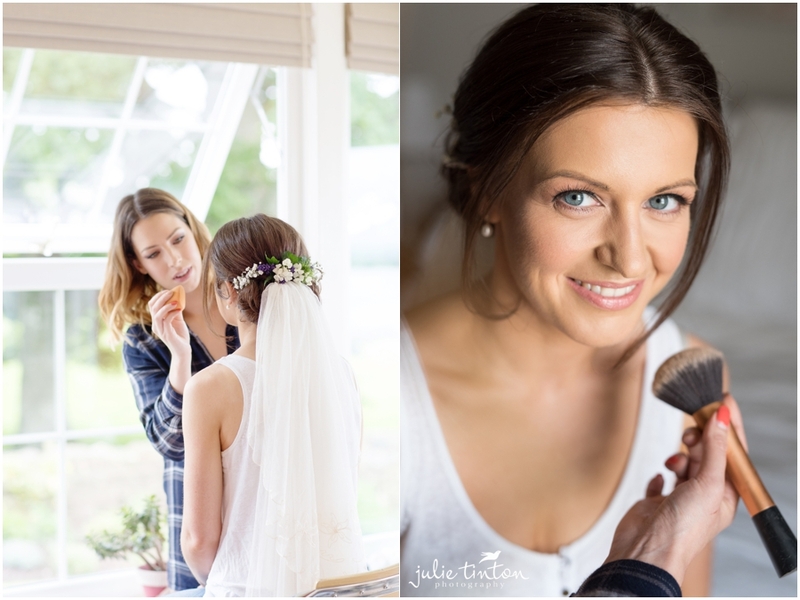 We started the morning with bridal preparations at Louise and Ian’s farm in Northumberland. 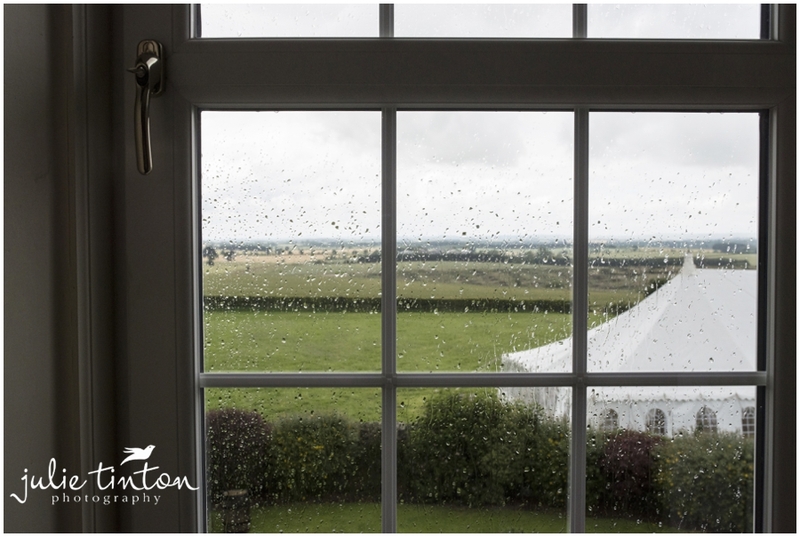 It was raining hard for most of the morning but nothing was going to dampen the day and sure enough the rain held off just before the ceremony! 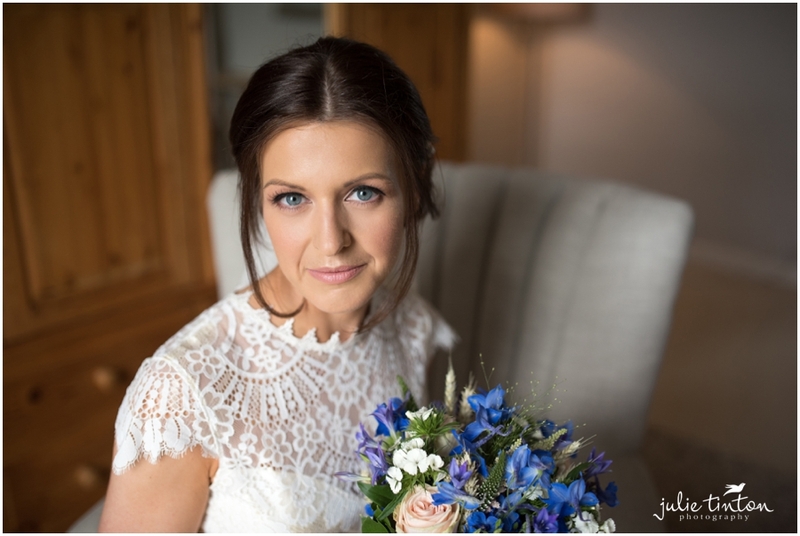 Louse and the girls were in the full throws of bridal prep while I got to work photographing all of Louise’s pretty details. 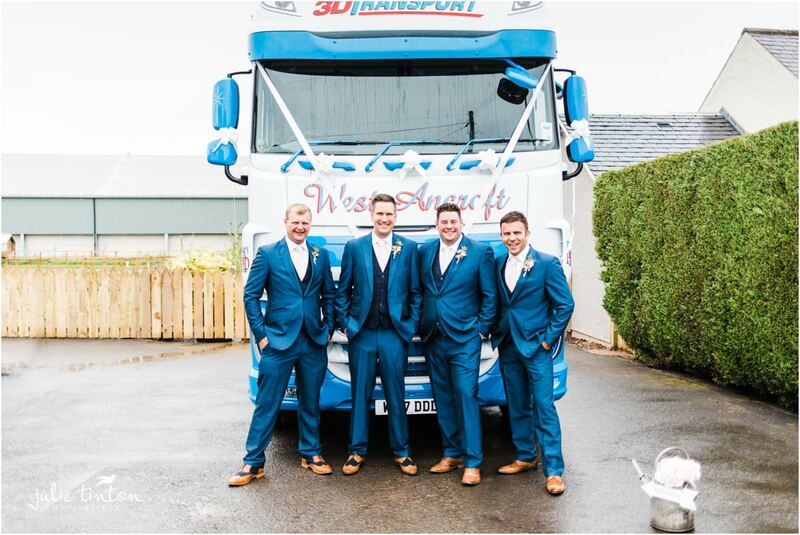 Meanwhile, Ian and the boys travelled in style in one of Ian’s farm haulage trucks. 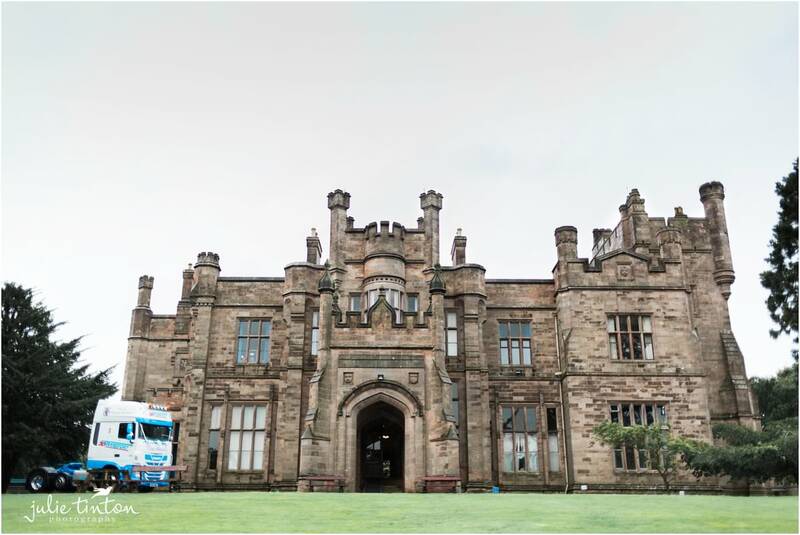 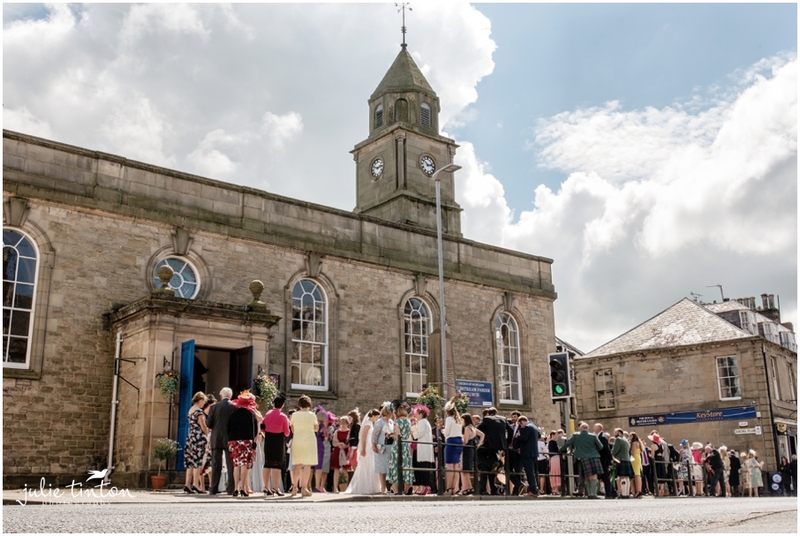 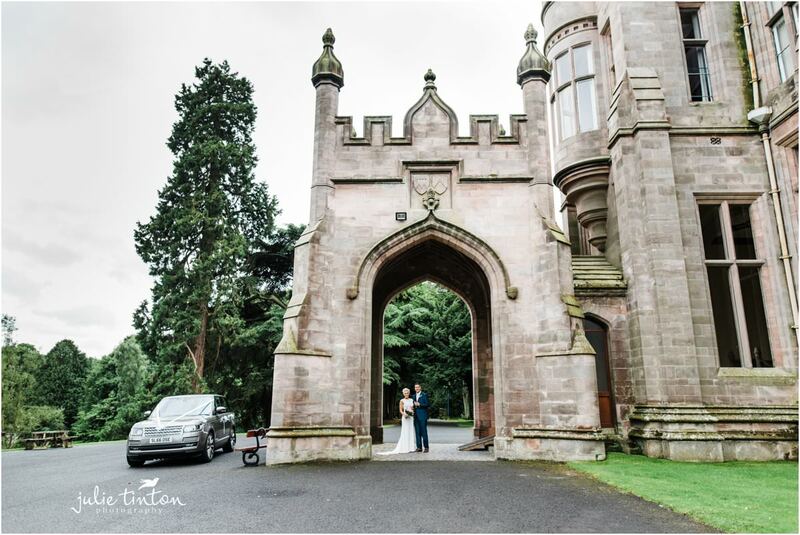 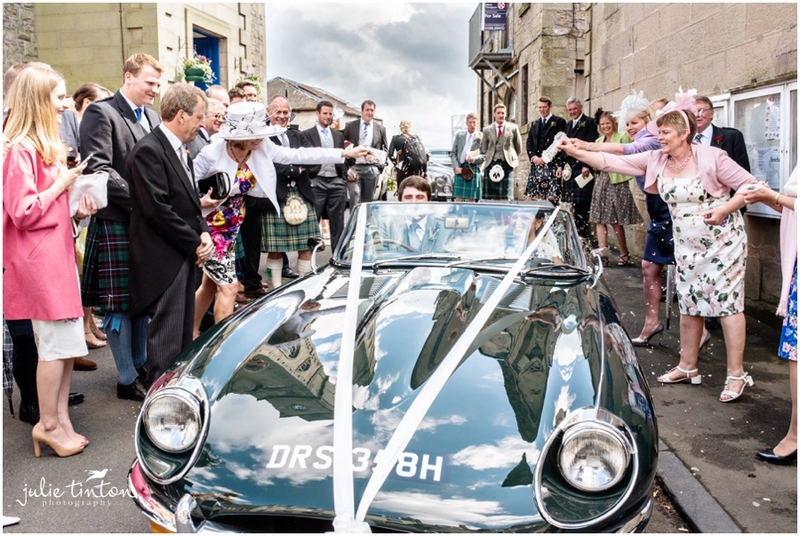 The ceremony was being held at Longridge Towers School, situated in between Berwick Upon Tweed and Northumberland. 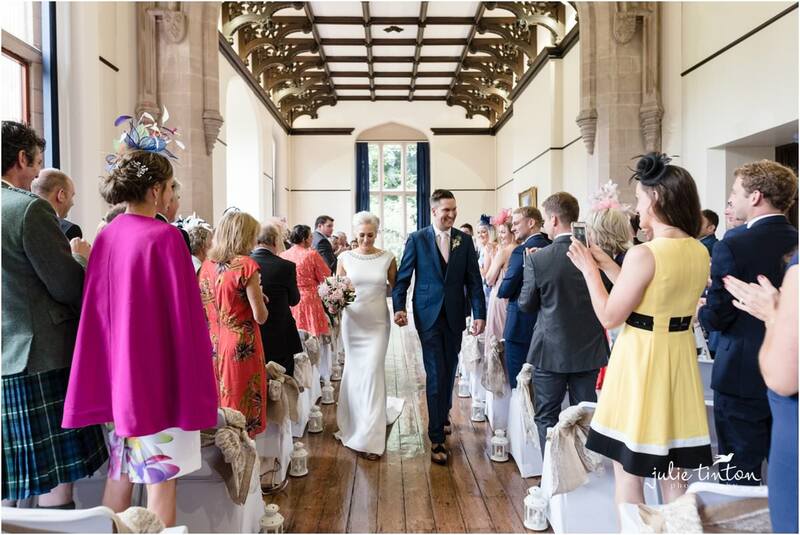 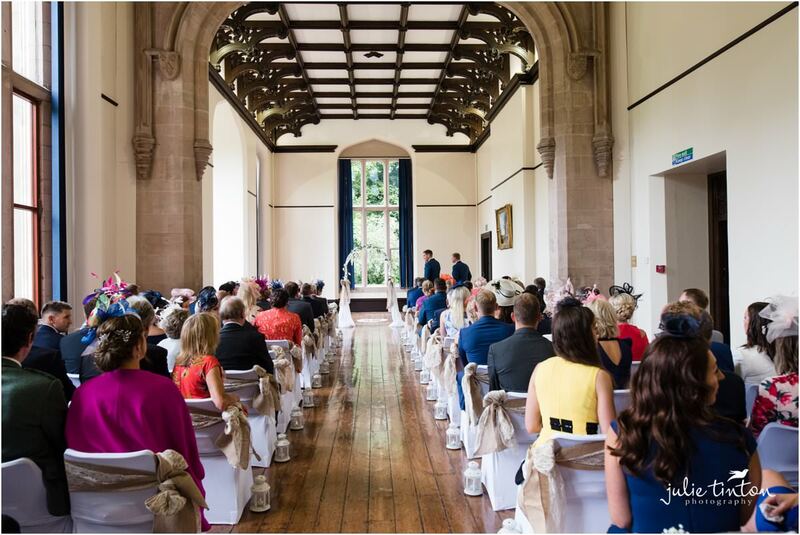 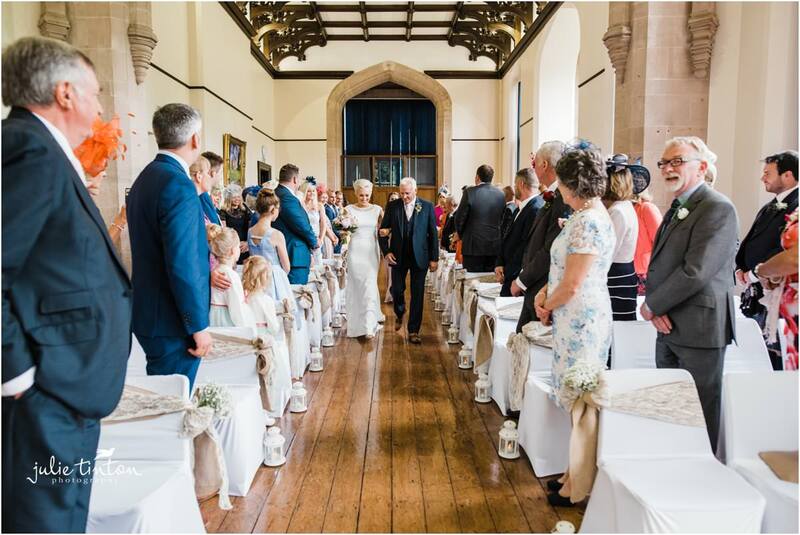 A beautiful building, set in the countryside with the most beautiful light in the ceremony room, just perfect for a wedding ceremony! 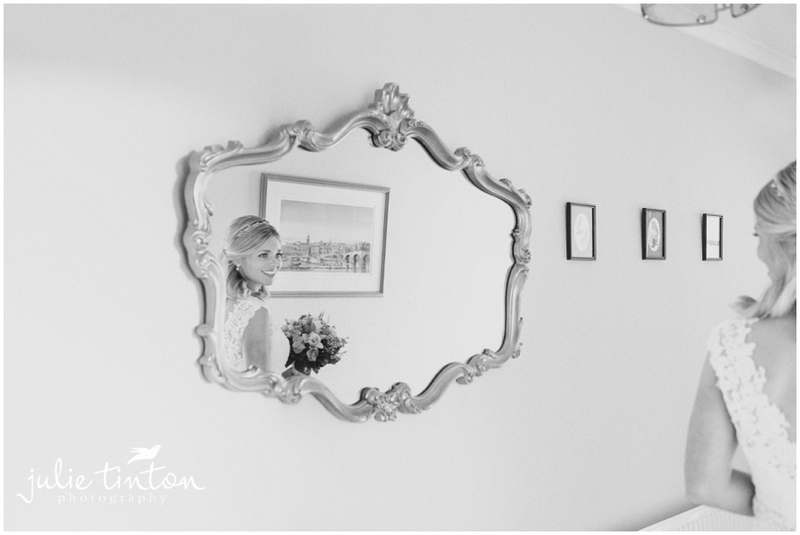 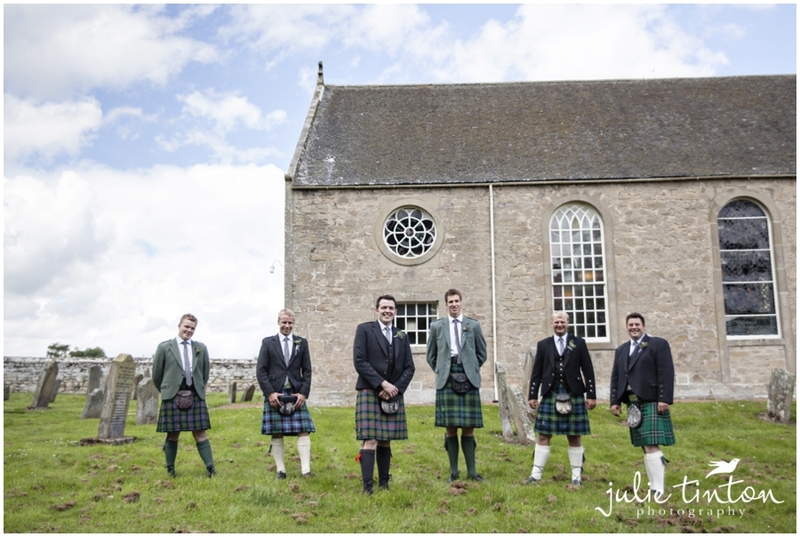 Just enough time for some relaxed portraits until their guest started to arrive for the ceremony. 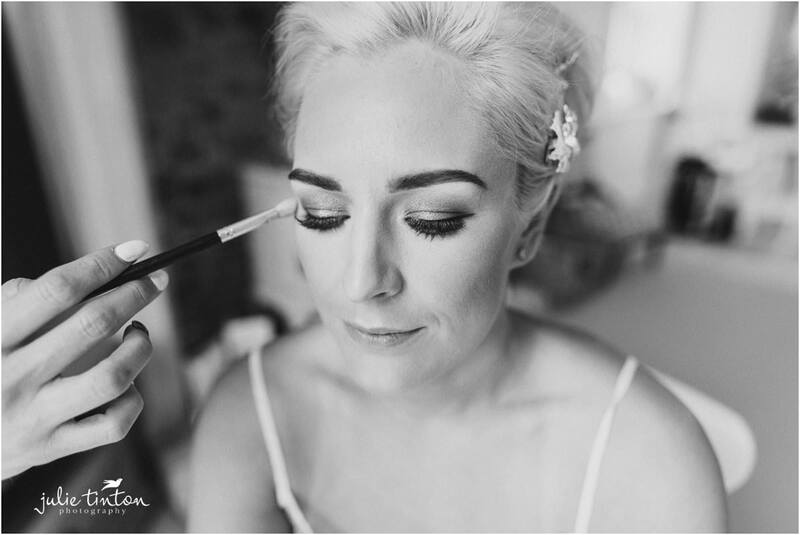 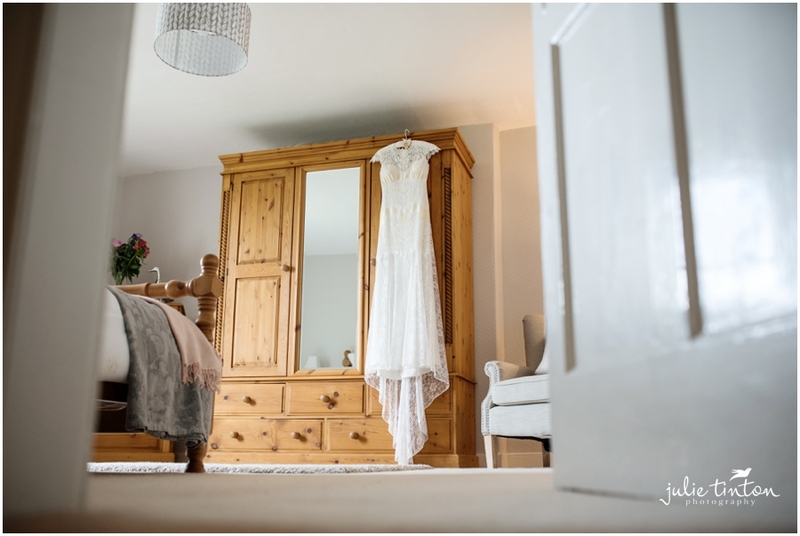 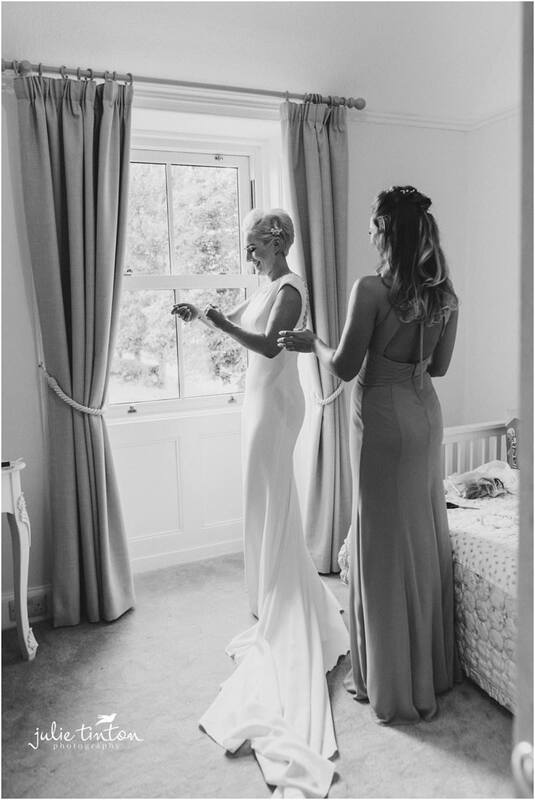 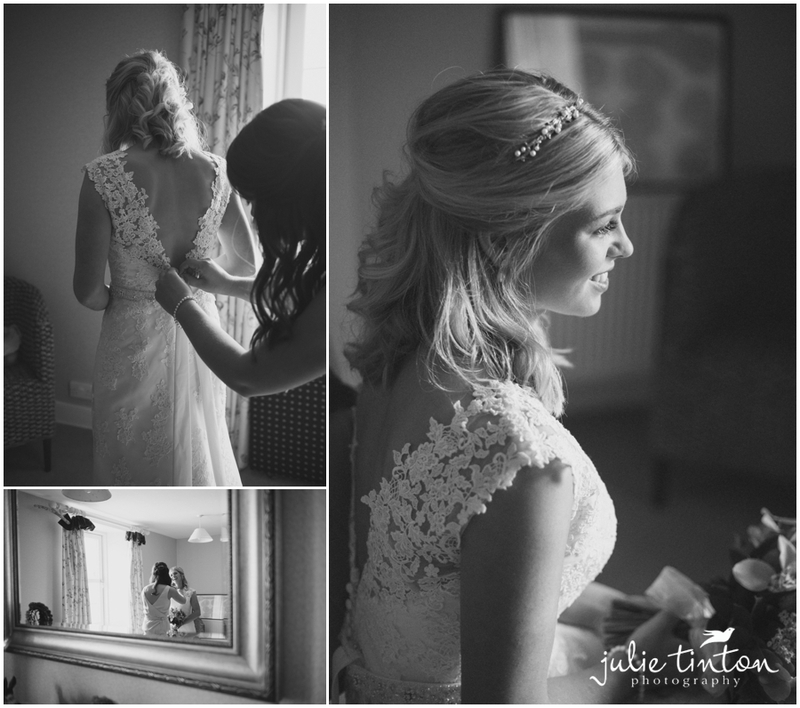 Back at the house Louise and her sister were putting the final touches together and she looked simply stunning in her Atelier Pronovia wedding dress. 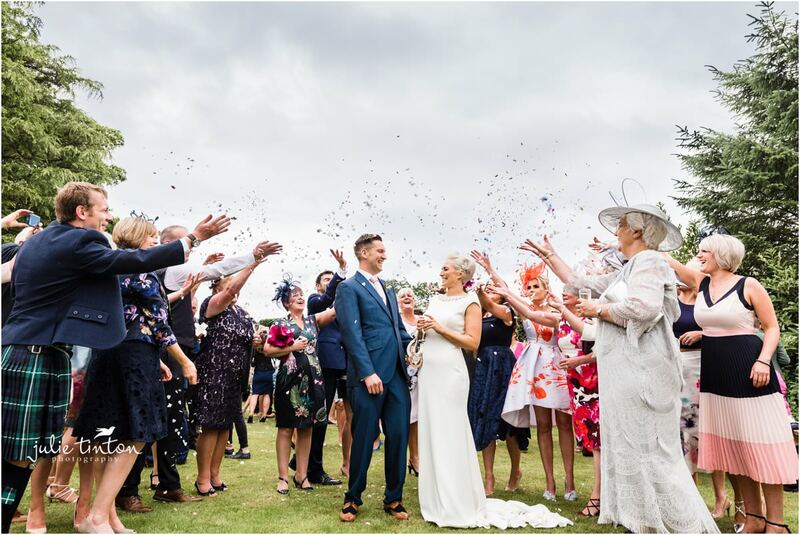 After a beautiful ceremony with close friends and family at Longridge Towers School it was back to the Farm to be greeted by a shower of confetti and a champagne reception on the lawn! 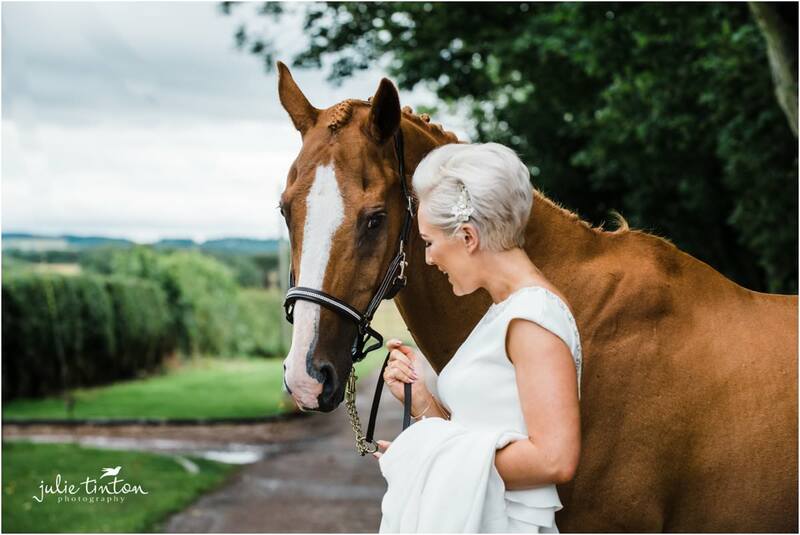 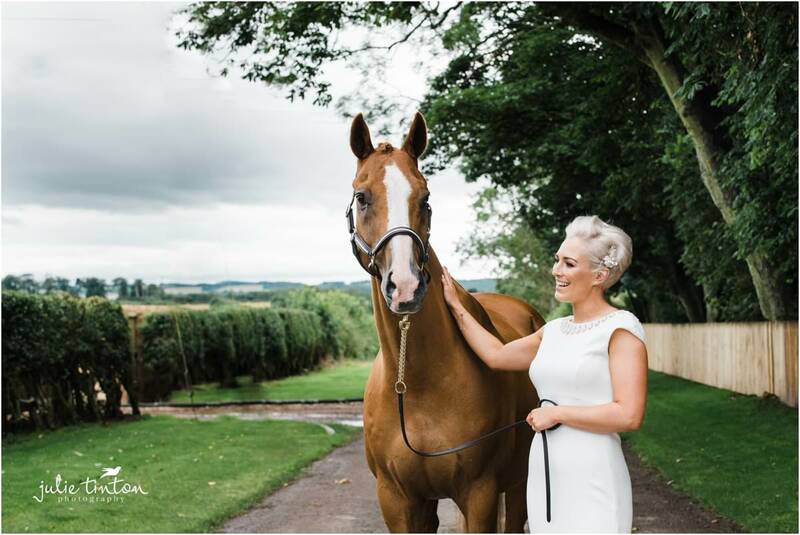 Louise’s handsome horse Chester made a VIP guest appearance at the reception and was extremely well behaved and posed magnificently with ‘the beautiful bride’! 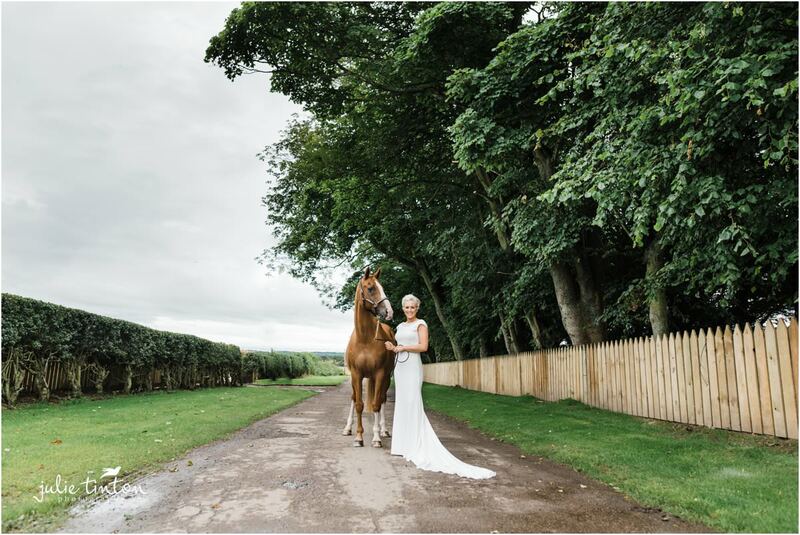 I love horses and dogs at weddings! 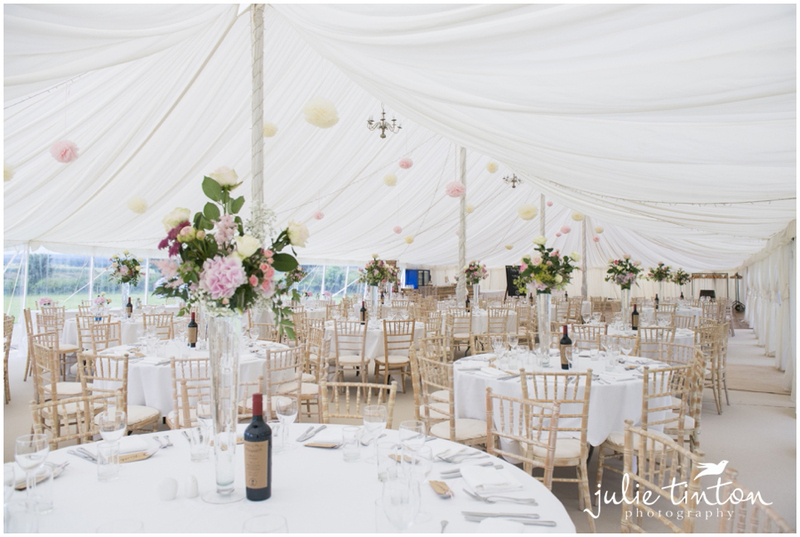 The marquee had been beautifully styled by the Flower Room and looked amazing for Louise and Ian to make their entrance to join their guests for dinner and speeches. 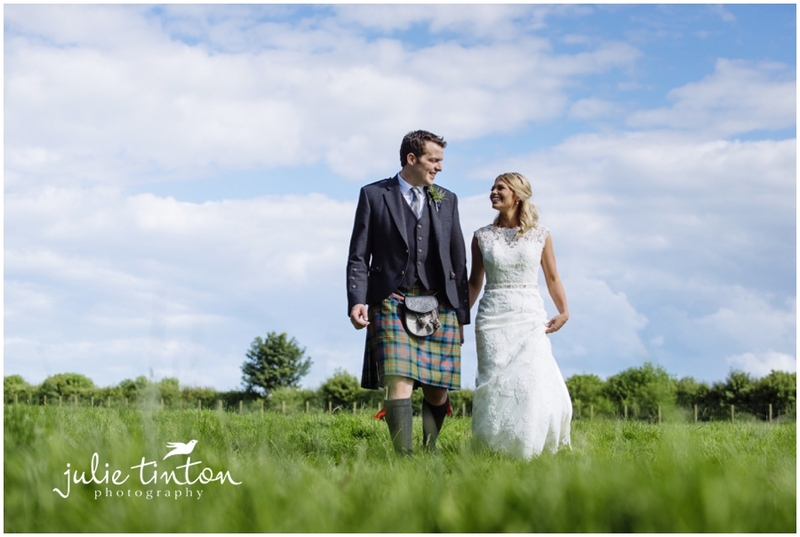 I loved the way Louise and Ian embraced the rain on their wedding day and we were so lucky with the sunshine in the late afternoon. 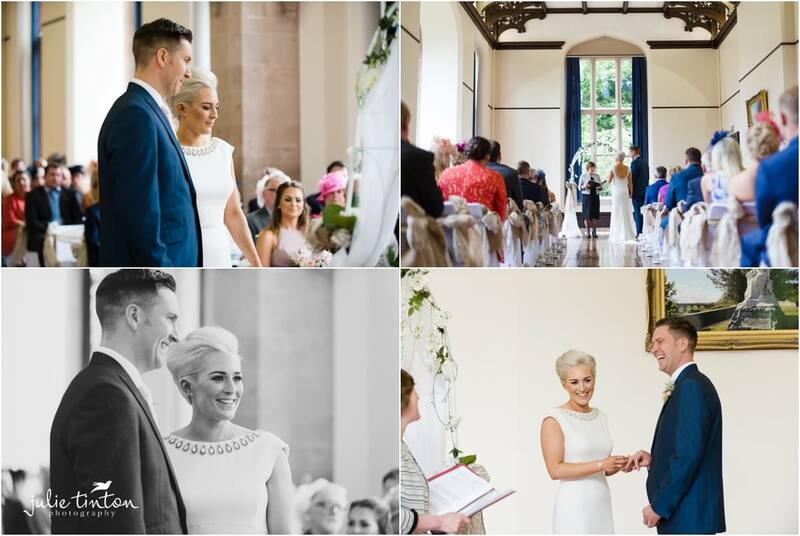 It truly was an amazing day! 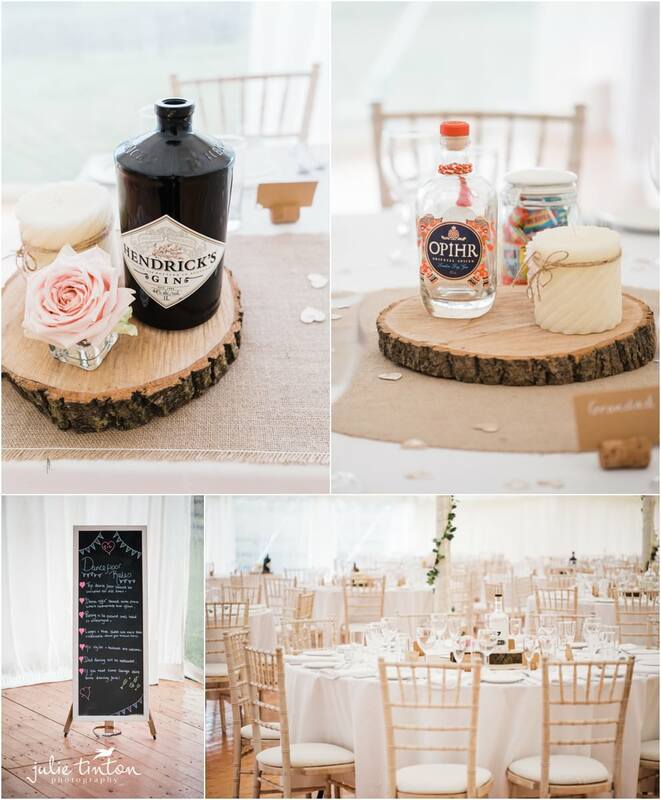 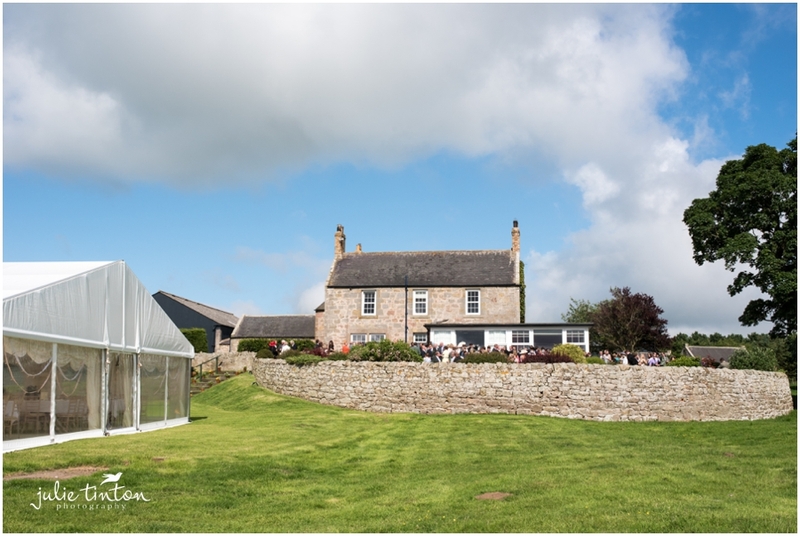 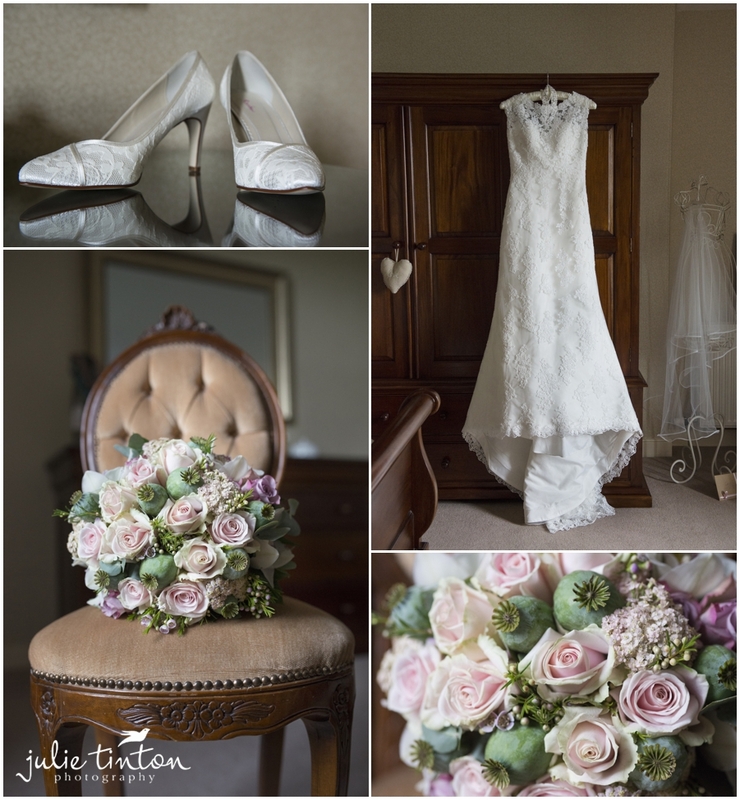 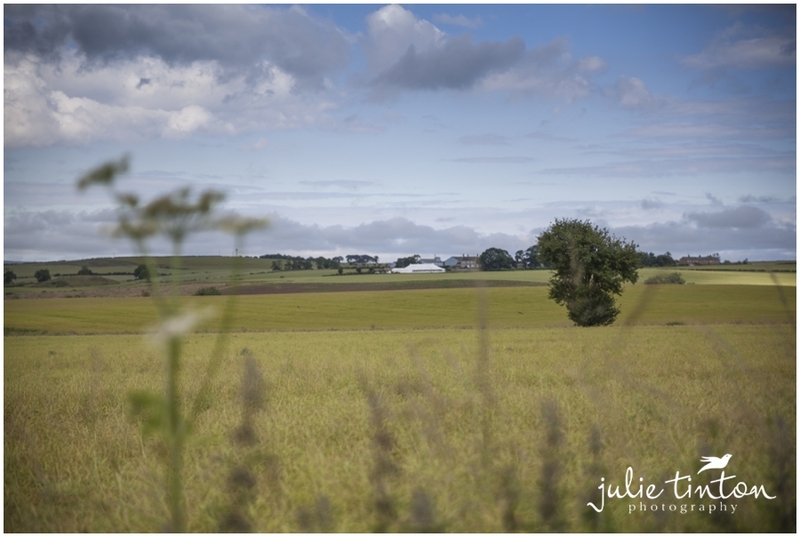 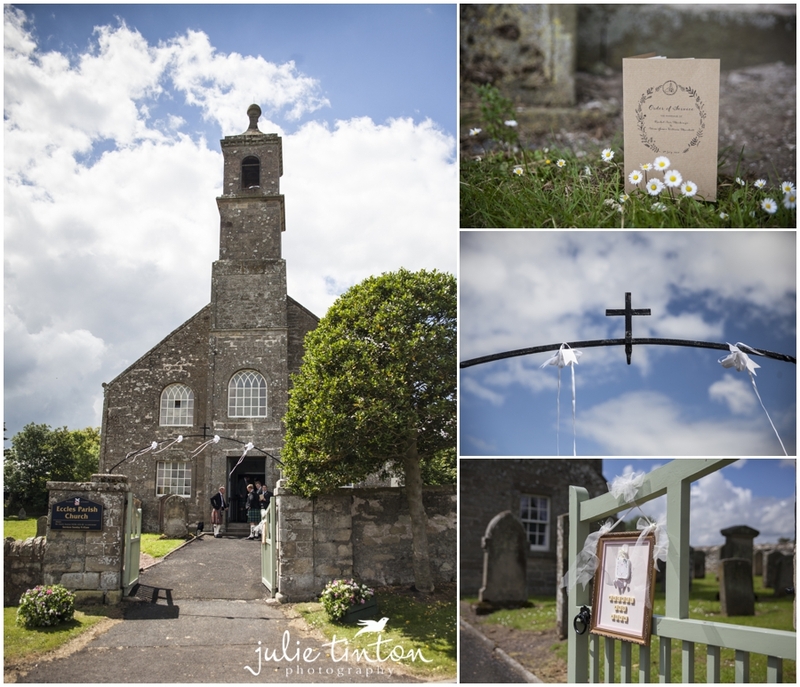 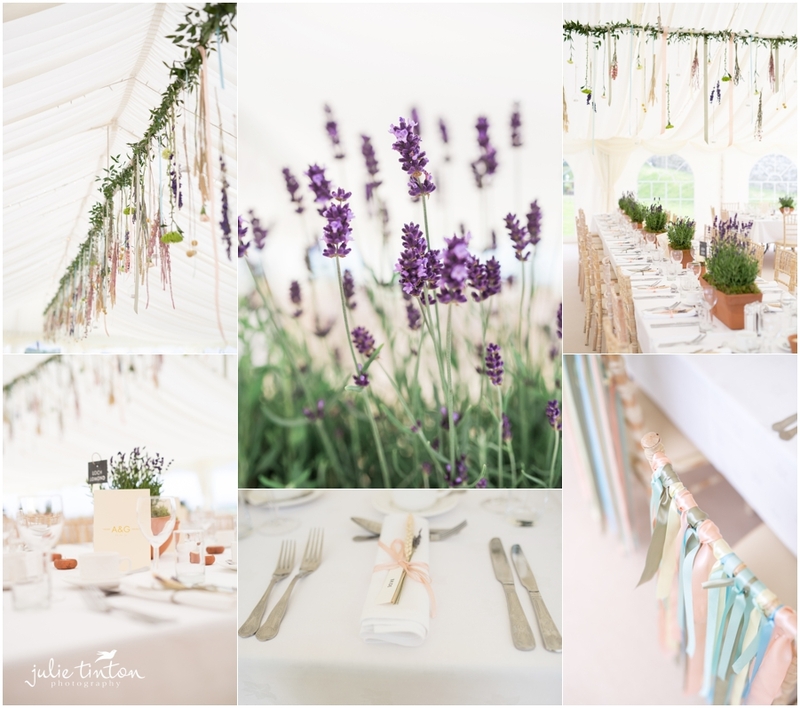 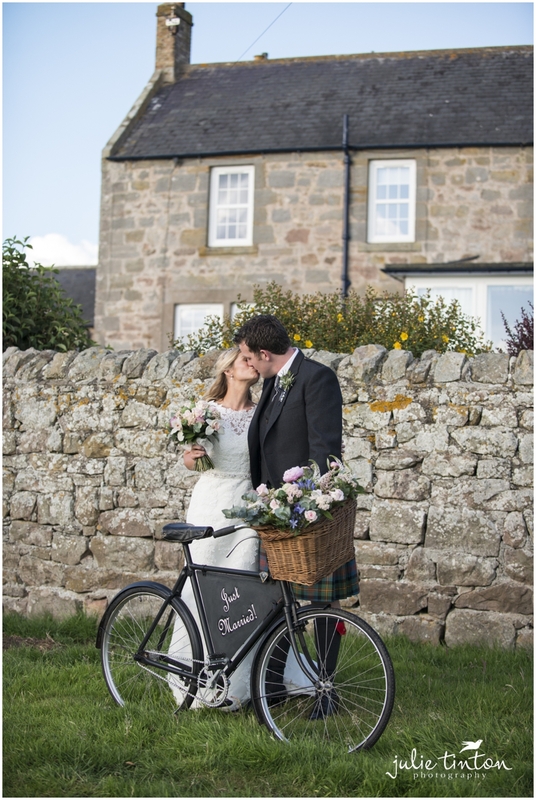 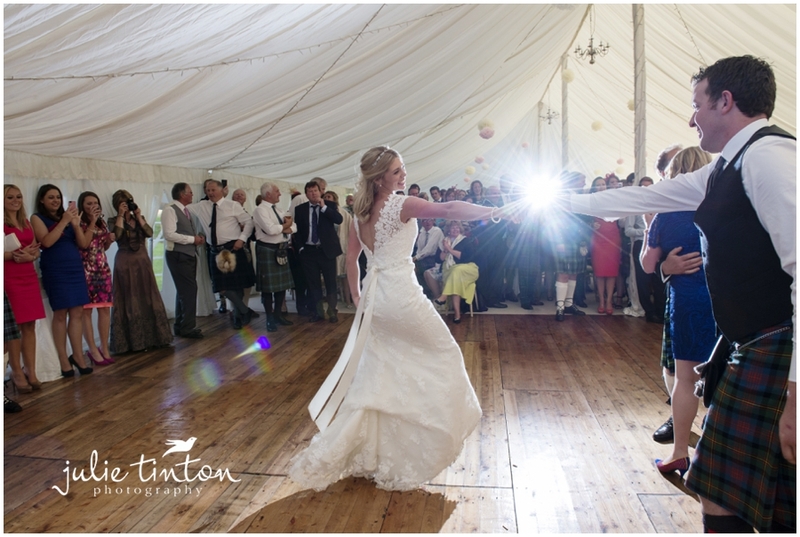 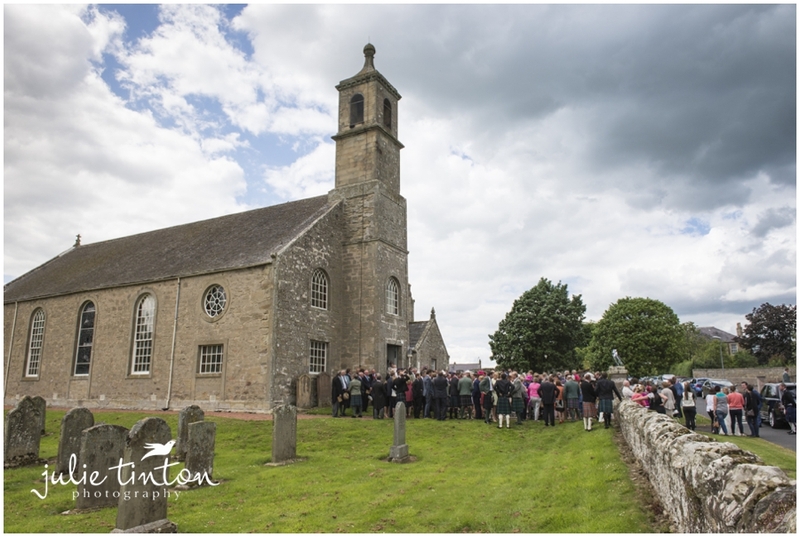 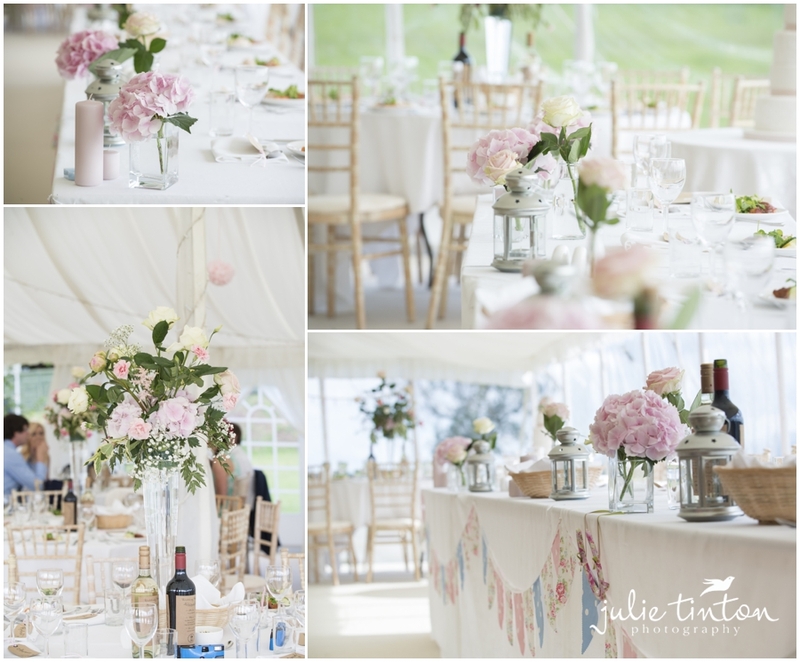 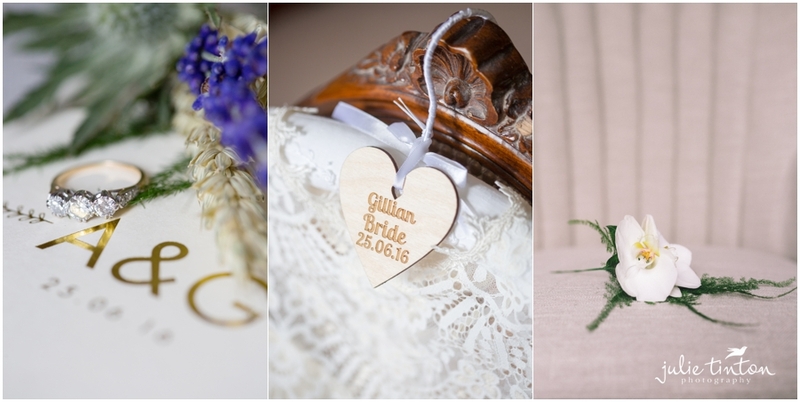 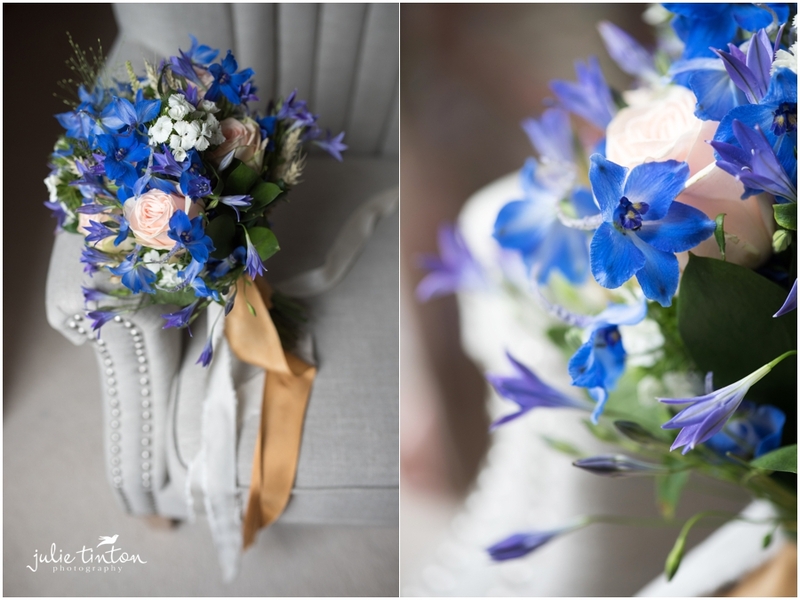 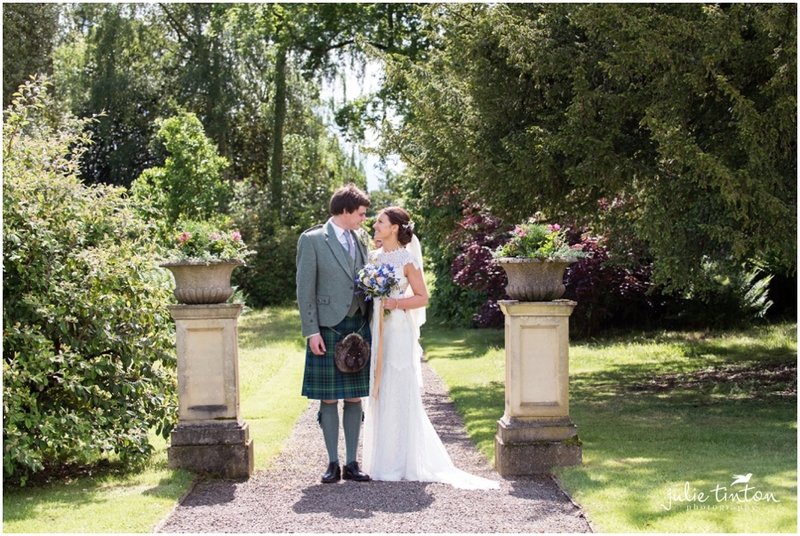 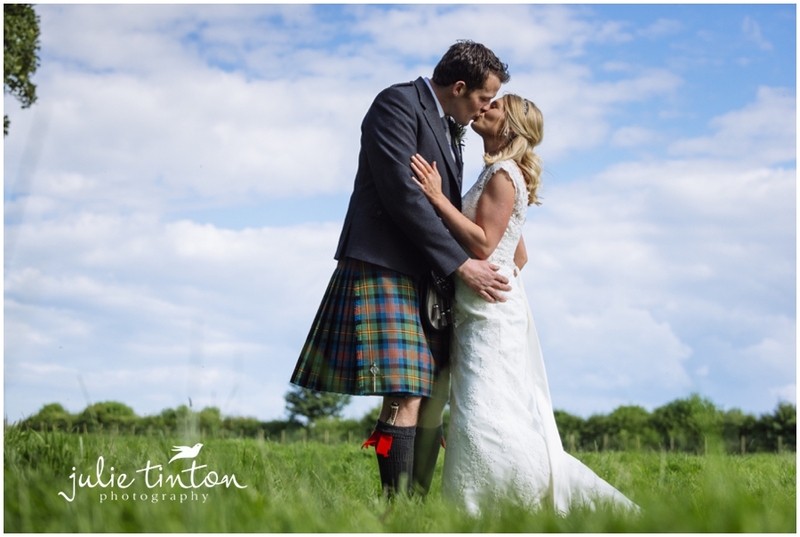 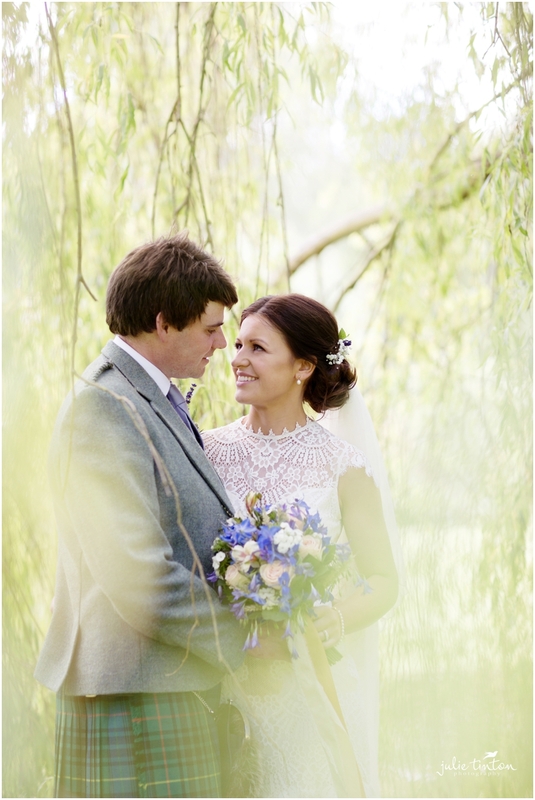 Gill & Gus -Borders Farm Wedding! 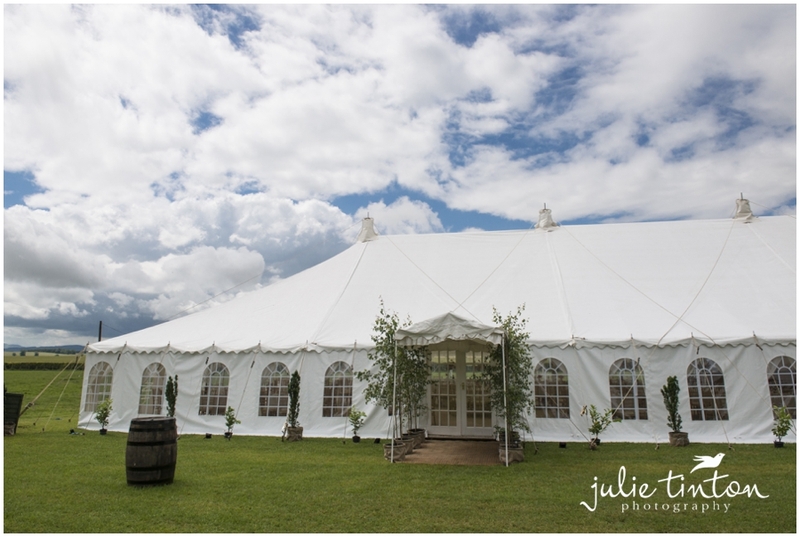 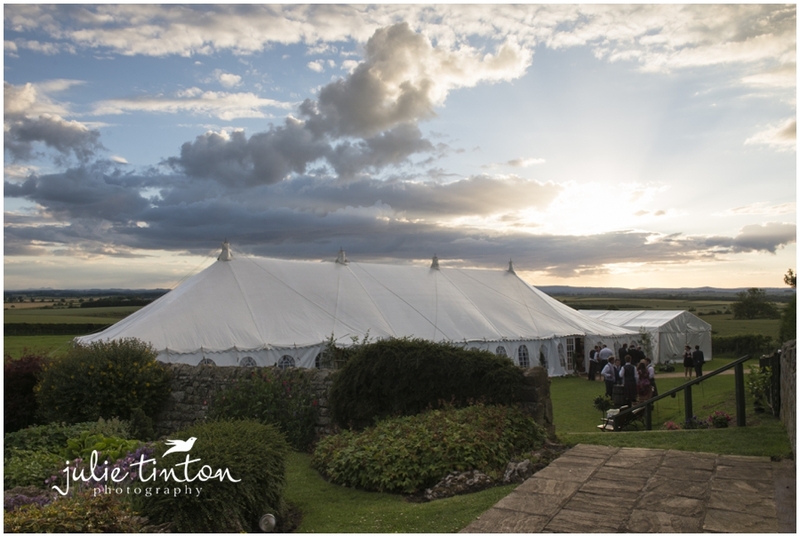 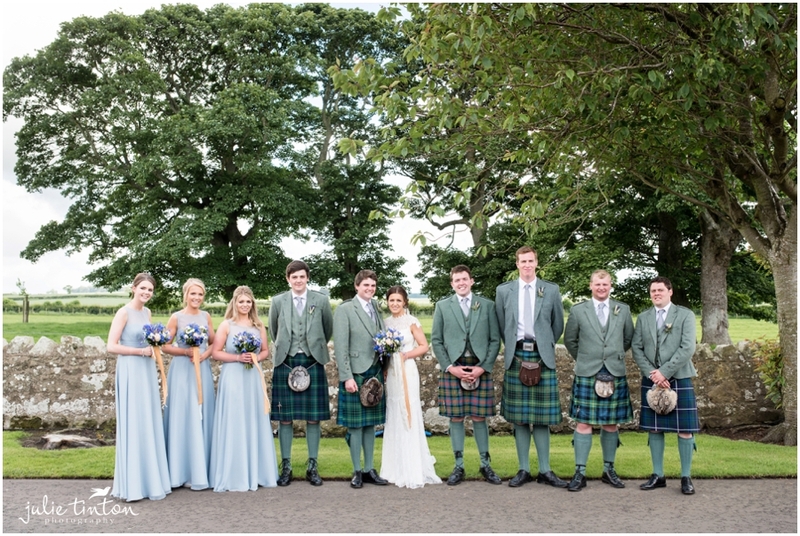 Congratulations to Gillian and Gus, married at Coldstream Parish Church and then afterwards for a beautiful marquee wedding at Gillian’s family farm in the Scottish Borders! 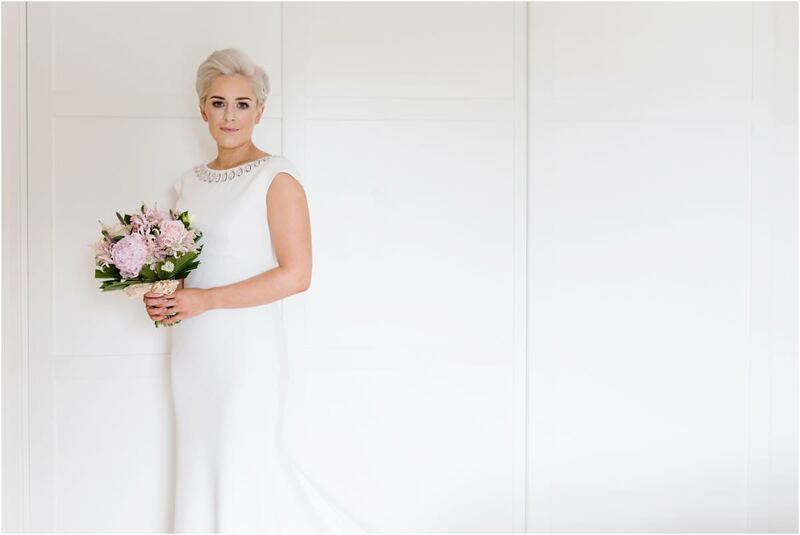 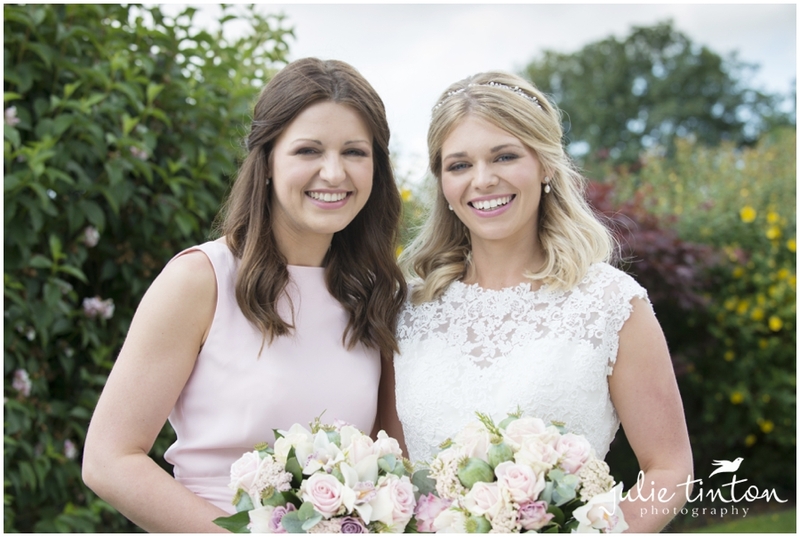 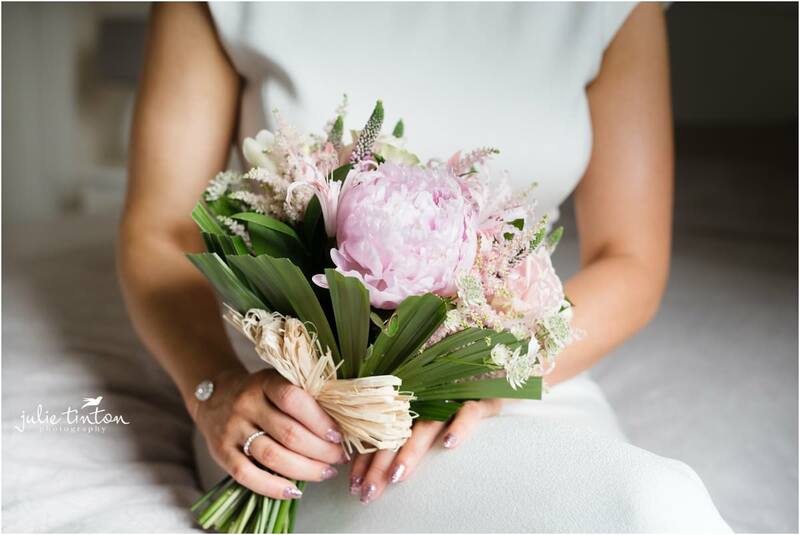 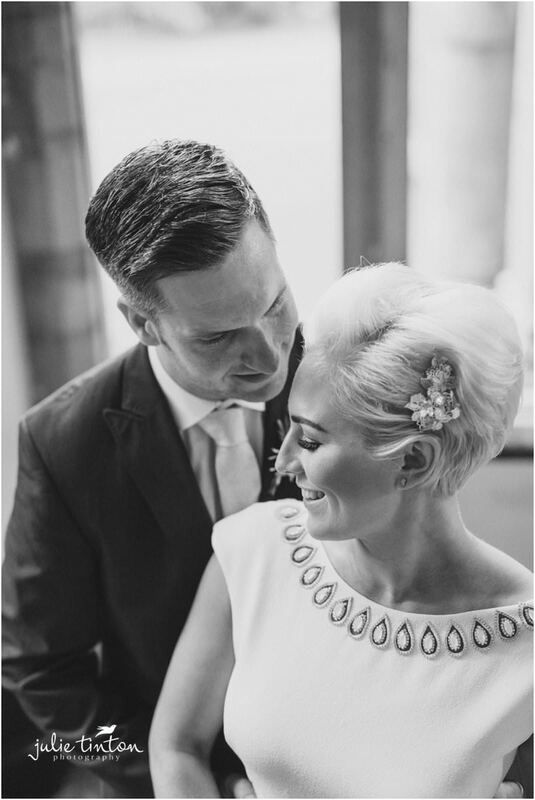 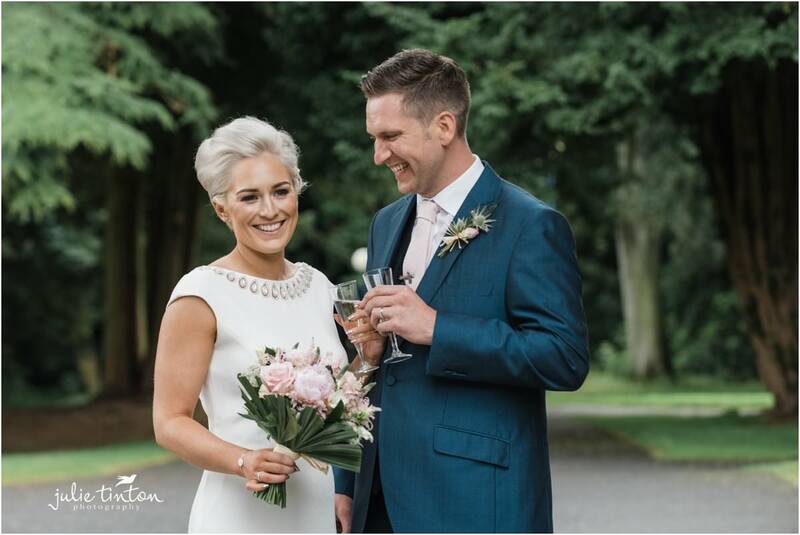 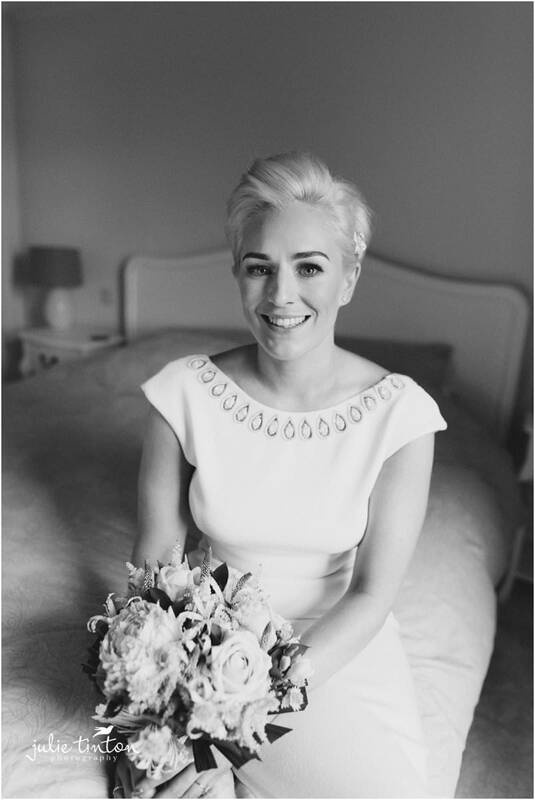 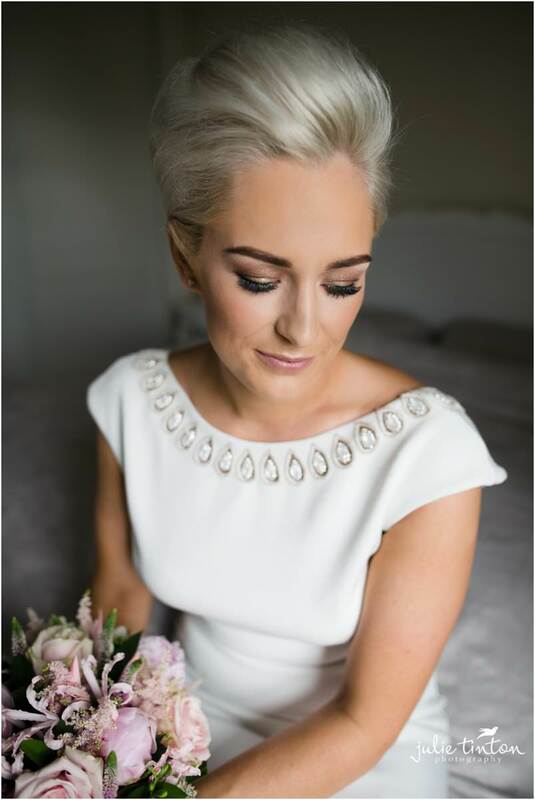 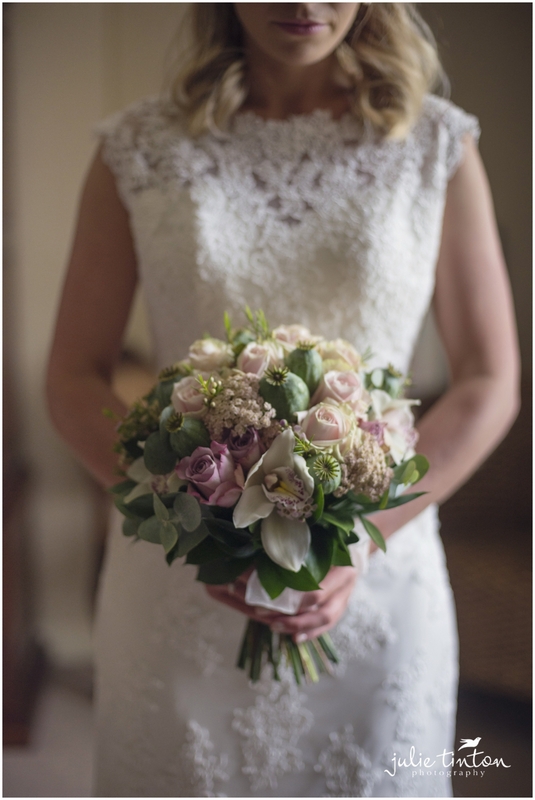 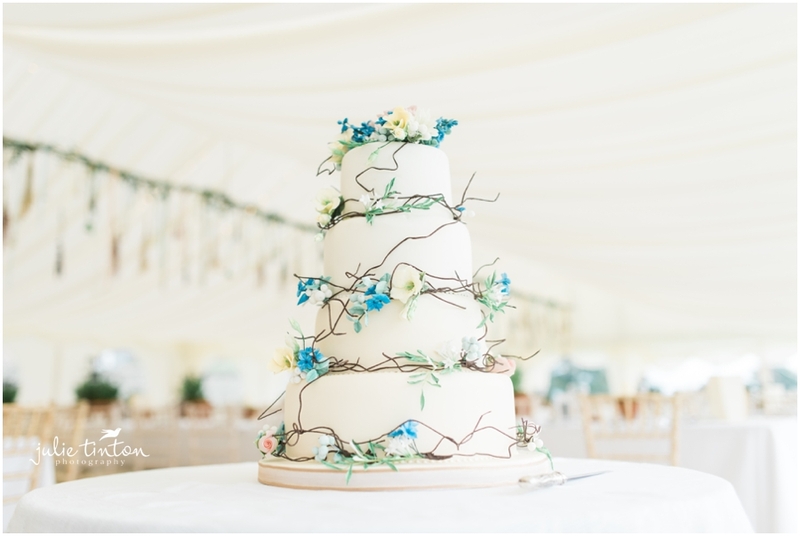 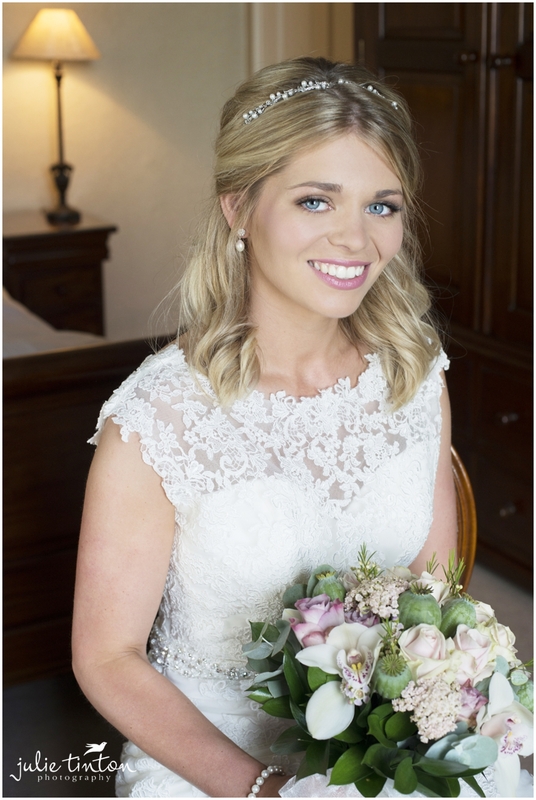 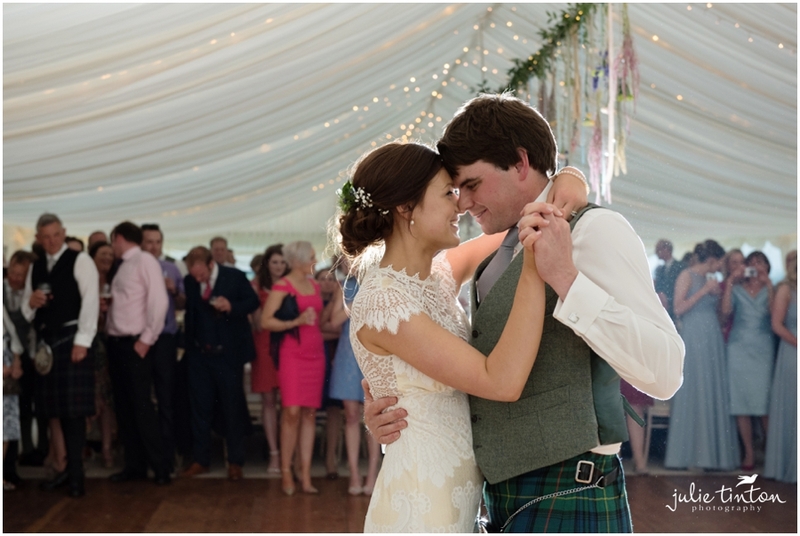 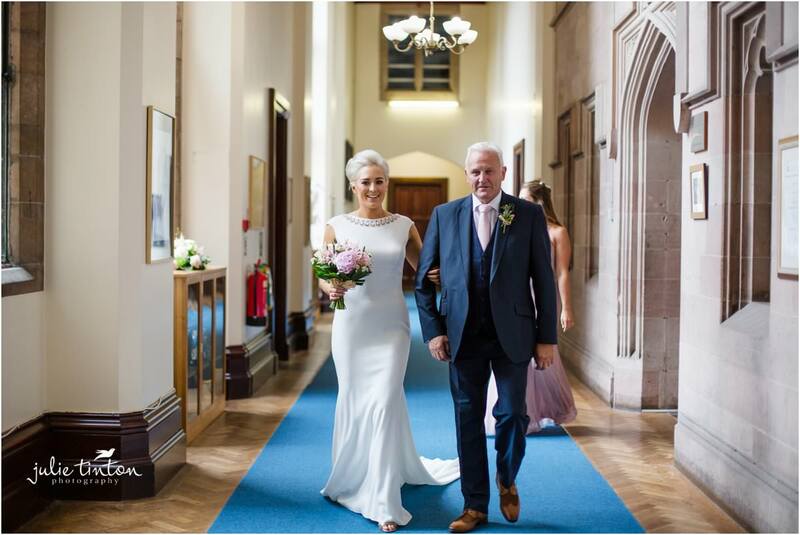 Gillian looked simply stunning in her Claire Pettibone dress and we loved the styling in the marquee, so much prettiness! 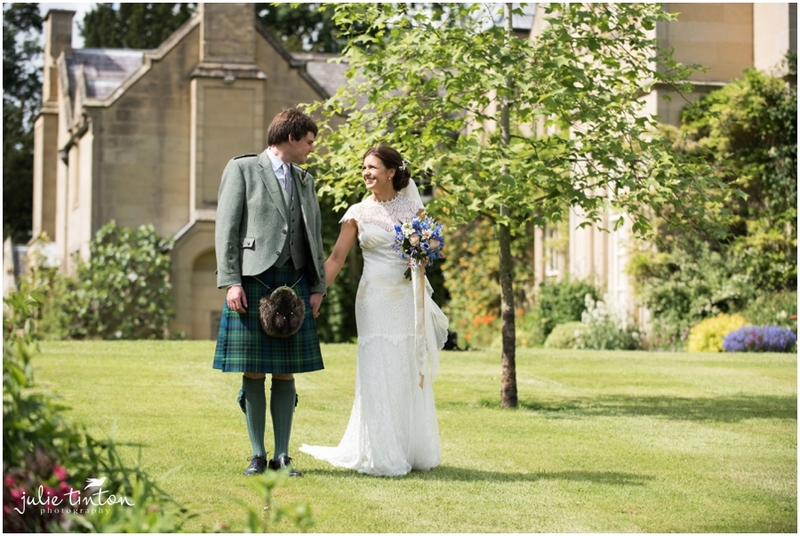 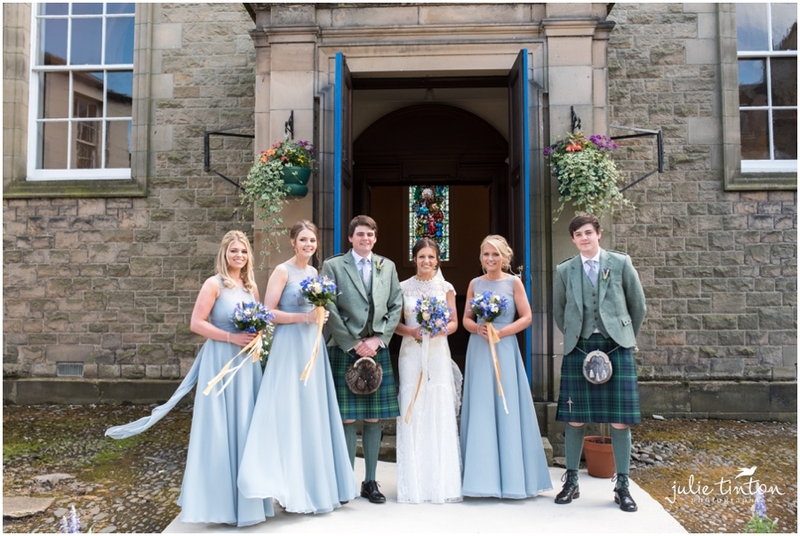 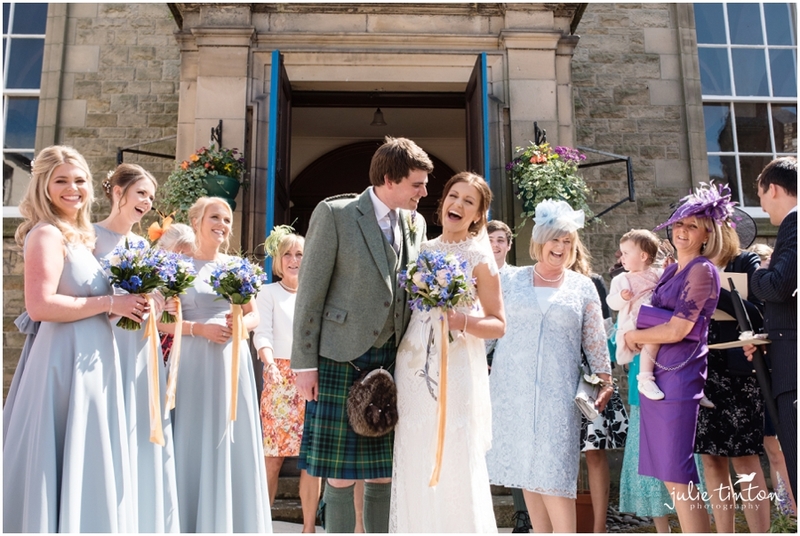 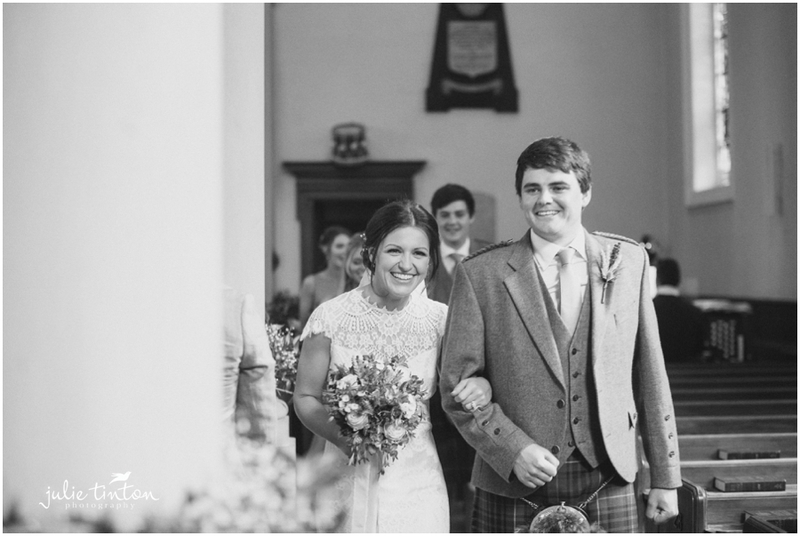 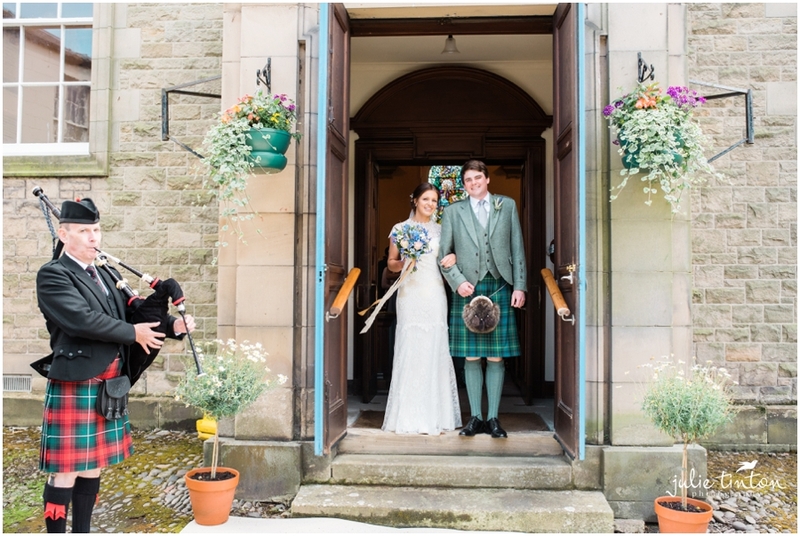 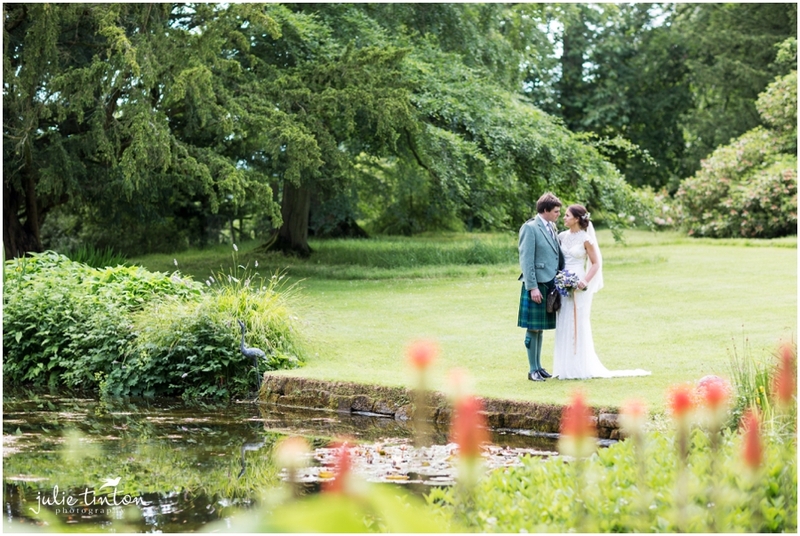 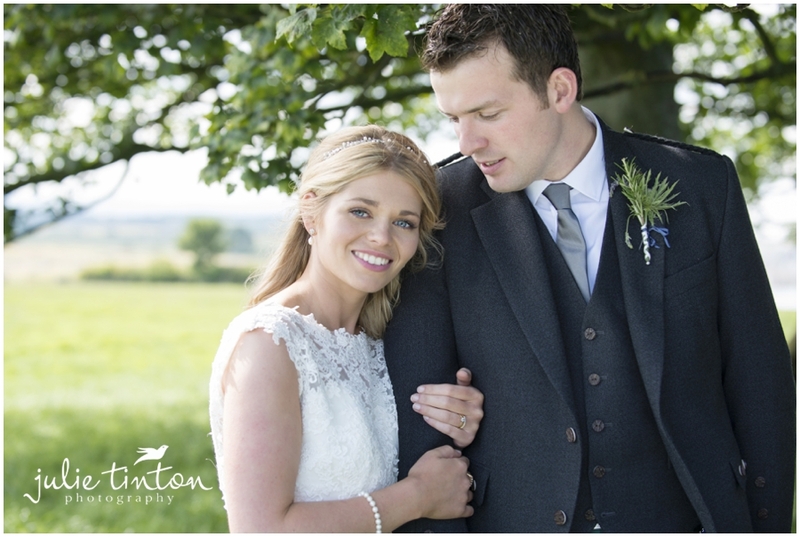 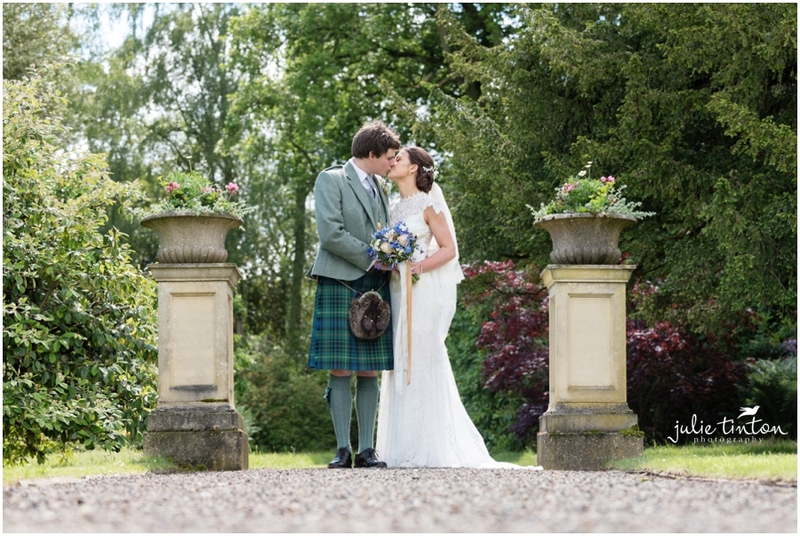 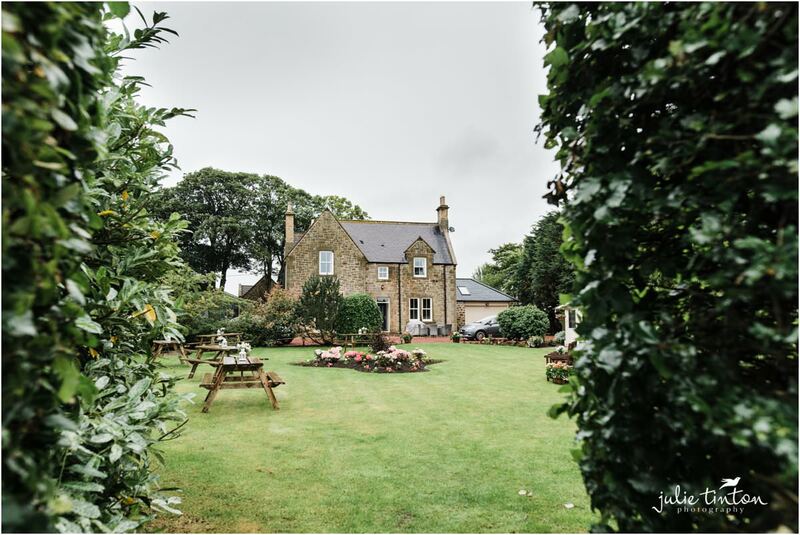 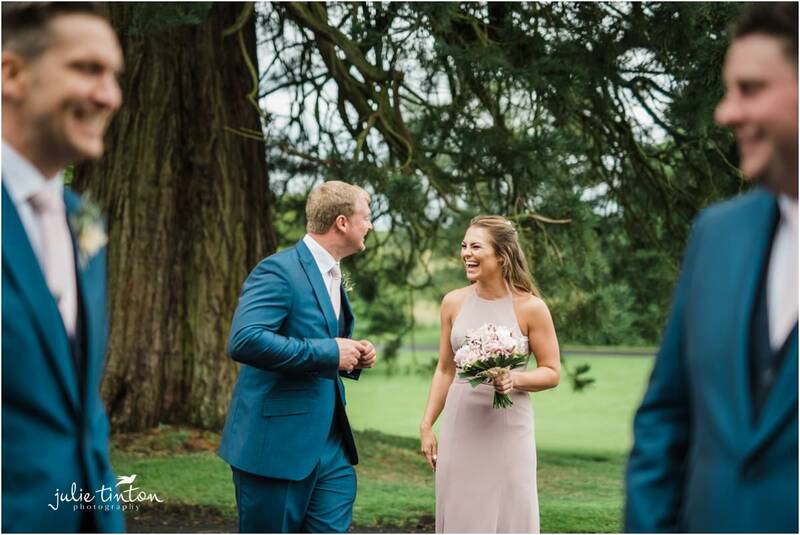 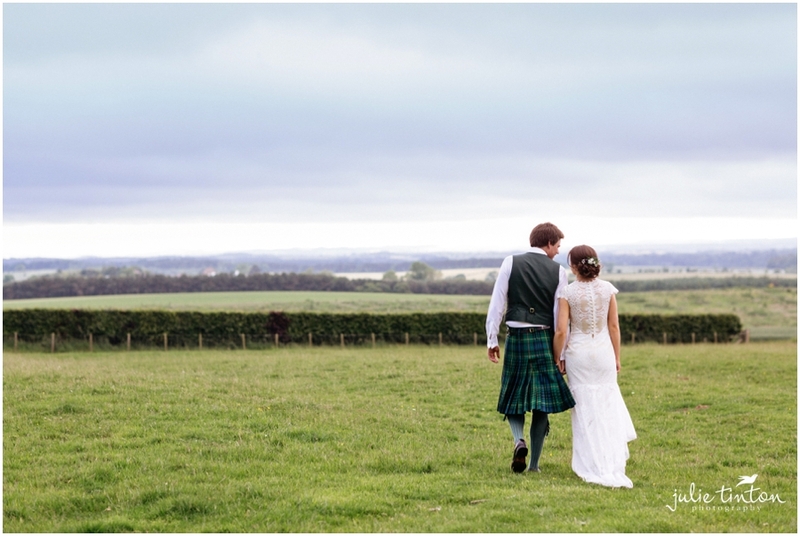 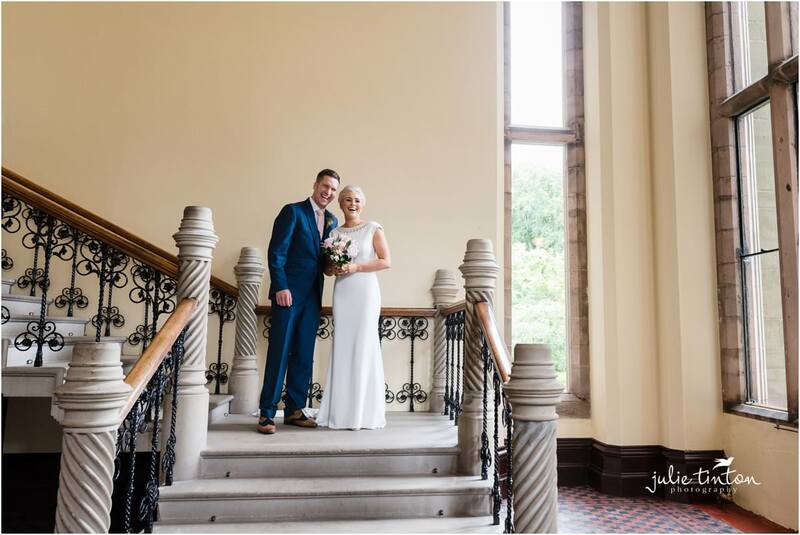 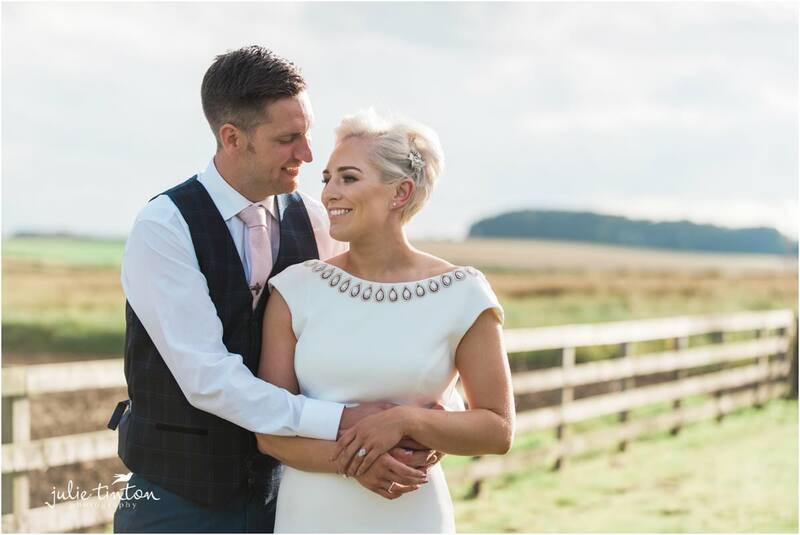 Rachel and Adam married in Eccles just across the Scottish Border in England at Eccles Parish Church then it was back to the Farm in the Scottish Borders for their beautiful Farm Wedding at Rachel’s family home! 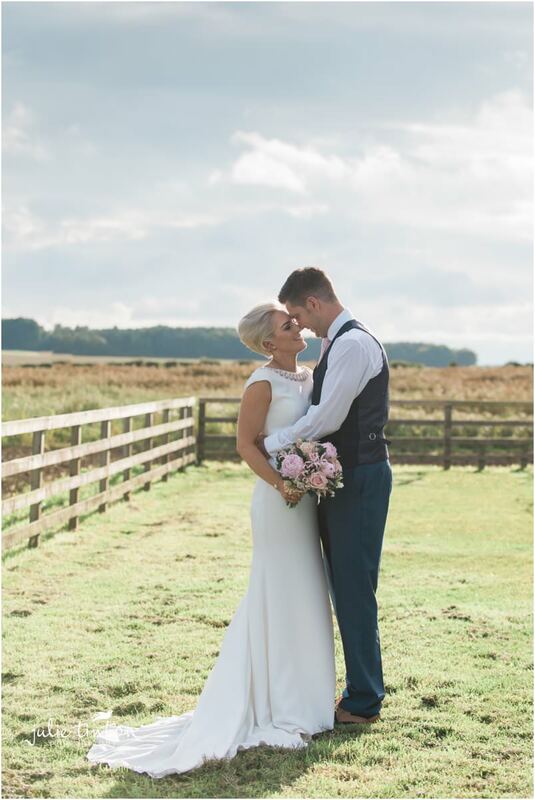 I think we had every season during the day and although it was forecast for rain most of the day the sun shone and we all had the most amazing day! 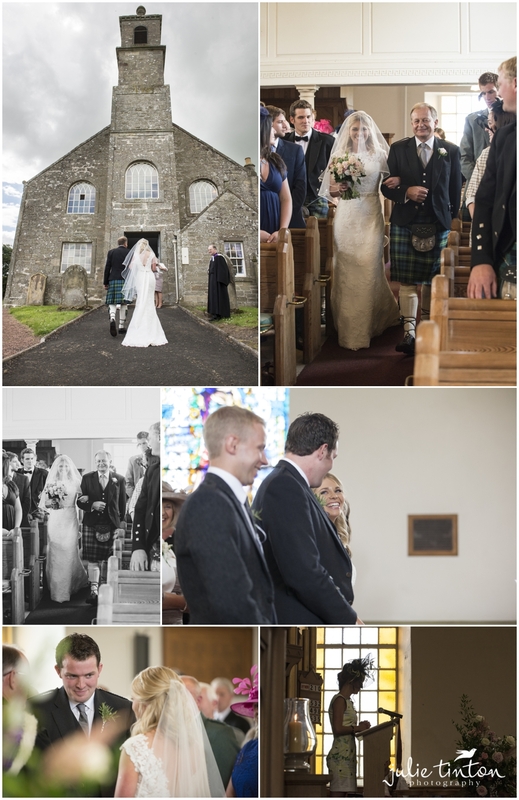 Thank you for looking after us so well, we had so much fun with you all. 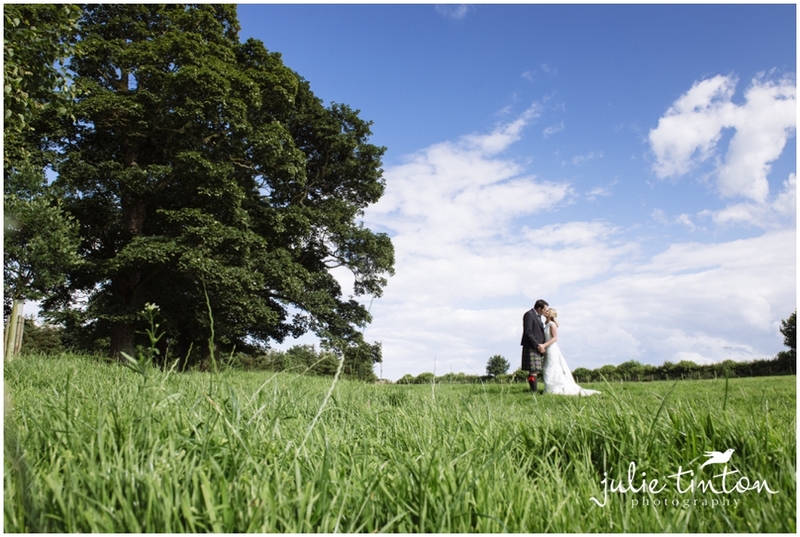 Wishing you both lots of happiness and I hope you enjoy your preview!